I am slowly emerging from the initial period of mourning and trying to re-enter the world. My father and my concern for my mother continue to fill almost all the spaces of my brain and heart. But Jewish tradition encourages one to return to a regular routine—to work, to school, to ordinary life—once the initial period of mourning is over. So I am going to try. And that means returning to my family history work and to my blog. It also means picking up where I left off in reading the blogs I follow. For today, let me just share a bit more biographical information about my father. I described his personality and interests a bit in my last post, but I’d like to tell a little more about his life, especially his early life. Next time I will return to the Goldsmiths, my father’s cousins through his maternal great-grandmother Eva Goldschmidt Katzenstein. 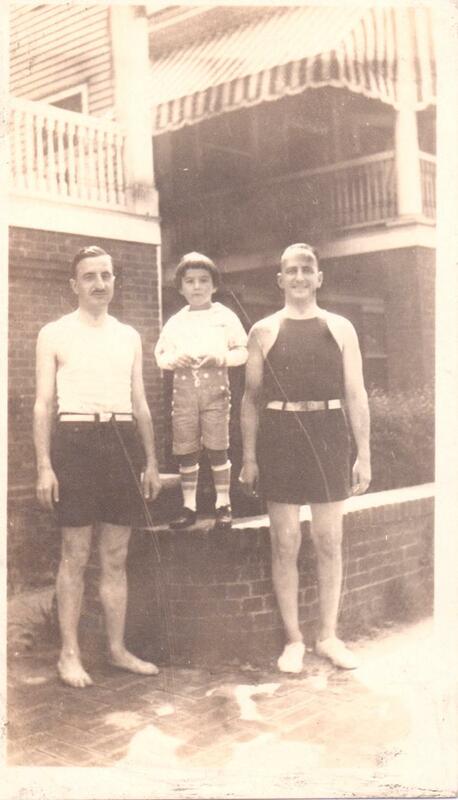 My father was born on November 15, 1926, in Philadelphia, to Eva Schoenthal and John Nusbaum Cohen. 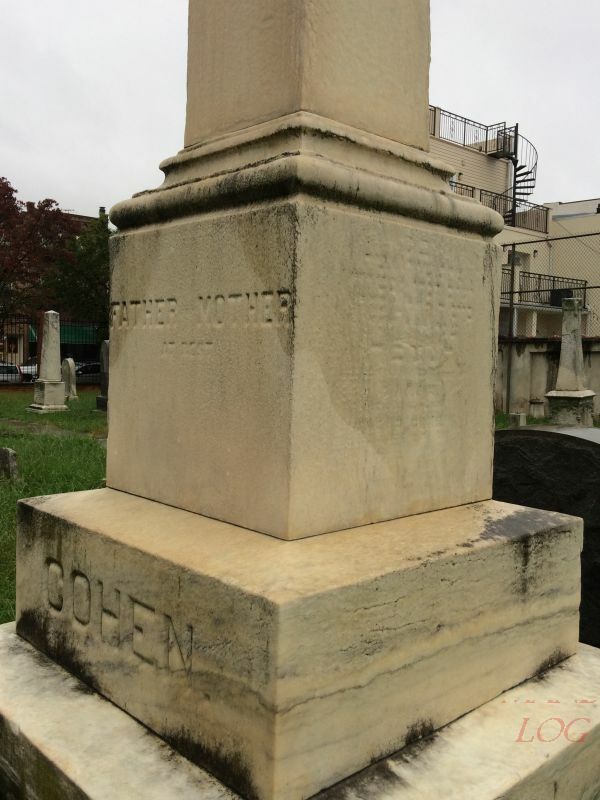 He was named John Nusbaum Cohen, Junior, which is an unusual thing to do in Ashkenazi Jewish families where the tradition is to name a child for a deceased relative. But that break with tradition was consistent with the assimilation of his family. Although my father was confirmed in a Reform Jewish temple, his family was not religious or traditional in any way. When he was just a young boy, both of his parents became ill and were unable to care for him. His father had multiple sclerosis and eventually was institutionalized; my father had no memory of him walking unassisted. His mother suffered a breakdown and also was hospitalized and then cared for by her parents. 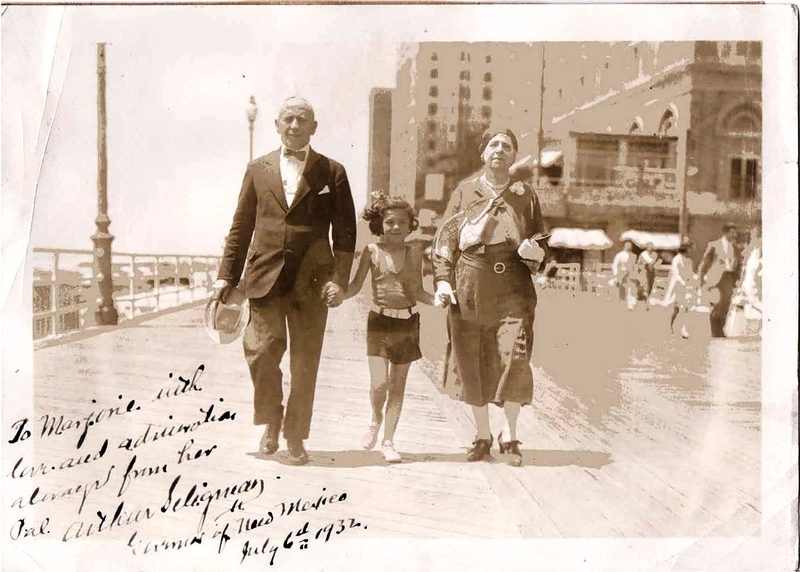 My father and his sister Eva were taken care of by their paternal grandmother Eva Seligman Cohen, whose kindness and generosity I’ve written about before. My father was an excellent student; he also loved music and art. One of his favorite childhood memories was playing the role of Buttercup in Gilbert and Sullivan’s HMS Pinafore when he was at an all-boys summer camp. He often sang his parts from that show to us when we were children. 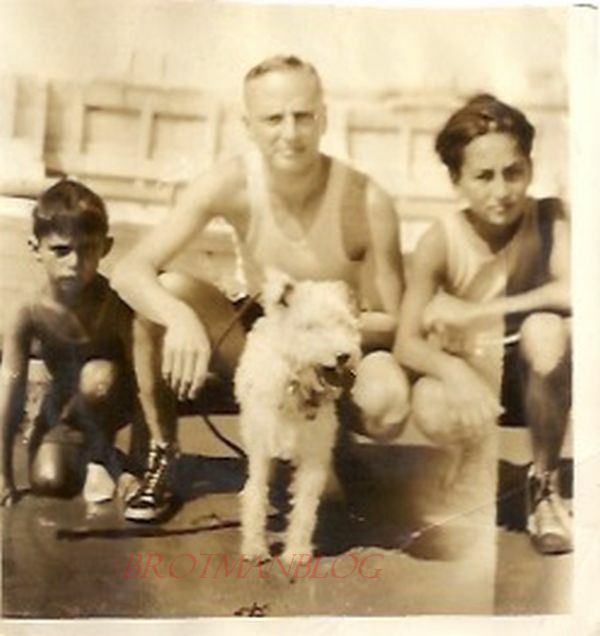 He also enjoyed summer trips to Atlantic City with his grandmother and sister. Just weeks before his thirteenth birthday, his beloved grandmother died in Philadelphia. The doctor who came to attend to her at home had to tell my father and aunt that their grandmother had died. There was no one obvious to take care of the two children, and for quite a while they were shuttled back and forth among various cousins for a week or so at a time. Eventually their mother was healthy enough to come back and take care of them. 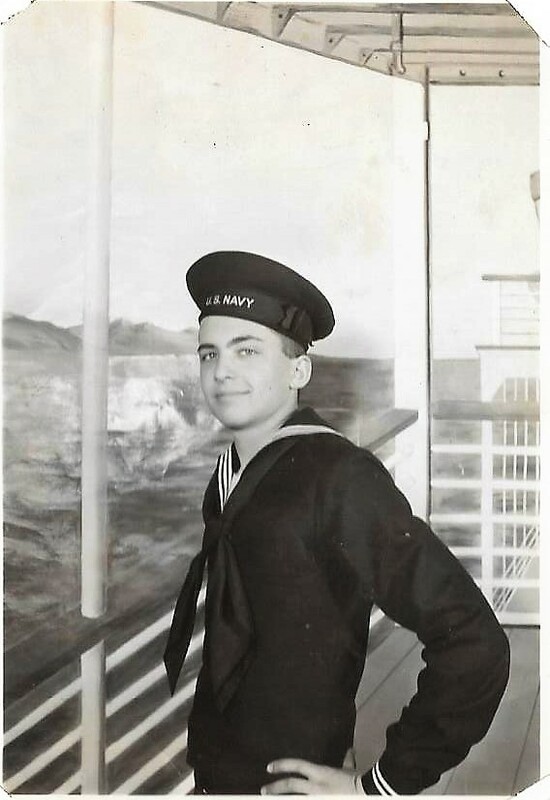 My father graduated from high school and started college, but on February 14, 1945, when he was eighteen, he was drafted into the US Navy to serve during World War II. 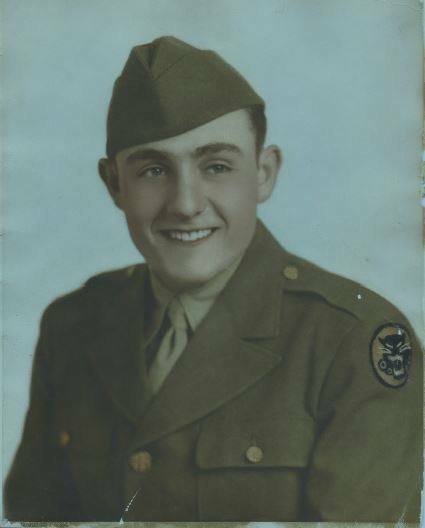 He was based in Chicago and then in Newport News, Virginia, doing intelligence work, until he was honorably discharged on August 1, 1946. He returned to Philadelphia and to Temple University to continue his education, but later transferred to Columbia University’s School of Architecture to complete his degree. He was encouraged and inspired by his uncle, Harold Schoenthal, to pursue a career in architecture, a decision he never regretted. 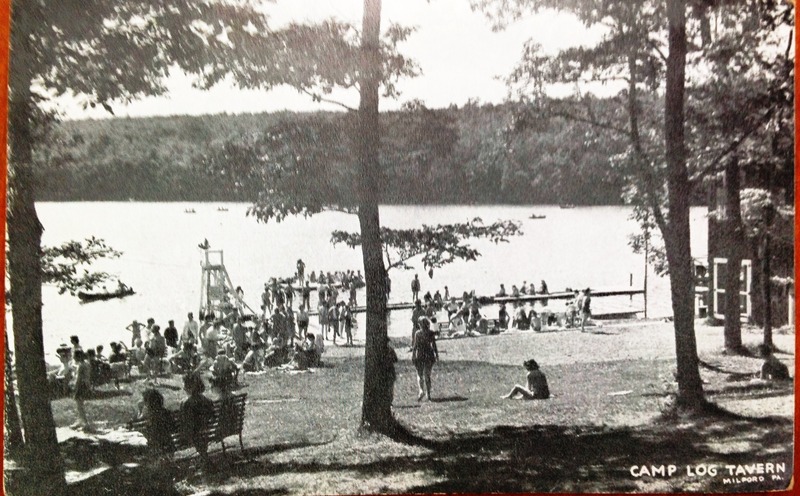 During the summer of 1950 when he was still a student at Columbia, my father worked as a waiter at Camp Log Tavern, a resort in the Pocono Mountains in Pennsylvania. One weekend he spotted a young red-headed woman across the room and said to a fellow waiter, “That’s the girl I am going to marry.” Although she was more interested in another waiter during her stay, my father asked her for her number before she departed. She gave him the wrong number and a shortened version of her last name, which was Goldschlager. 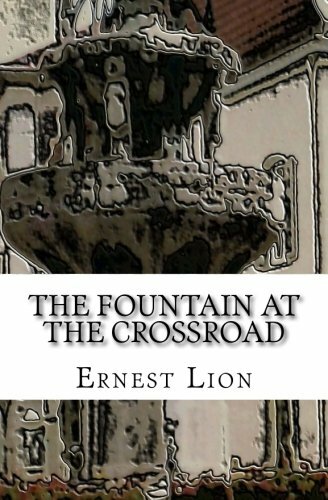 According to family lore, he searched the Bronx phone book until he found her. She was so impressed that she agreed to go out with him, and after that, they became inseparable. 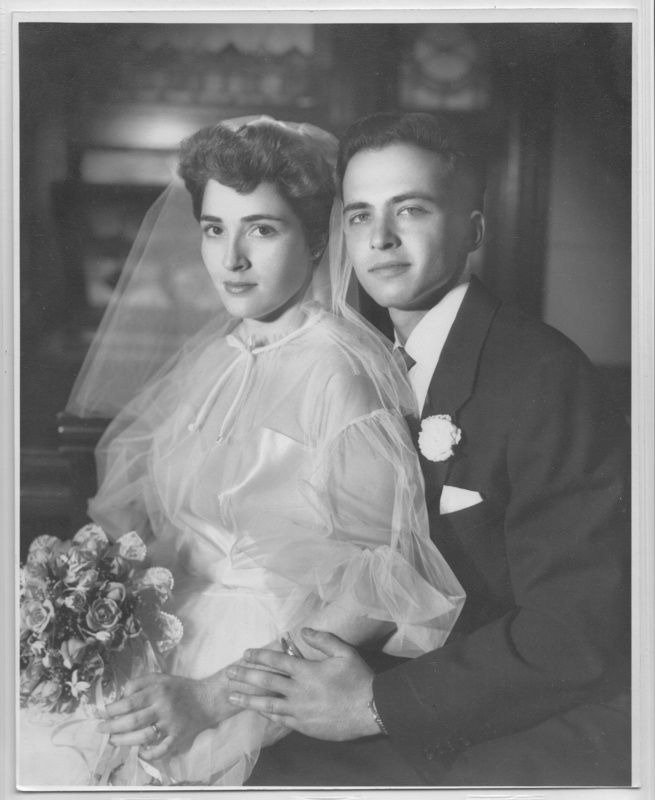 They were married one year later on September 9, 1951. 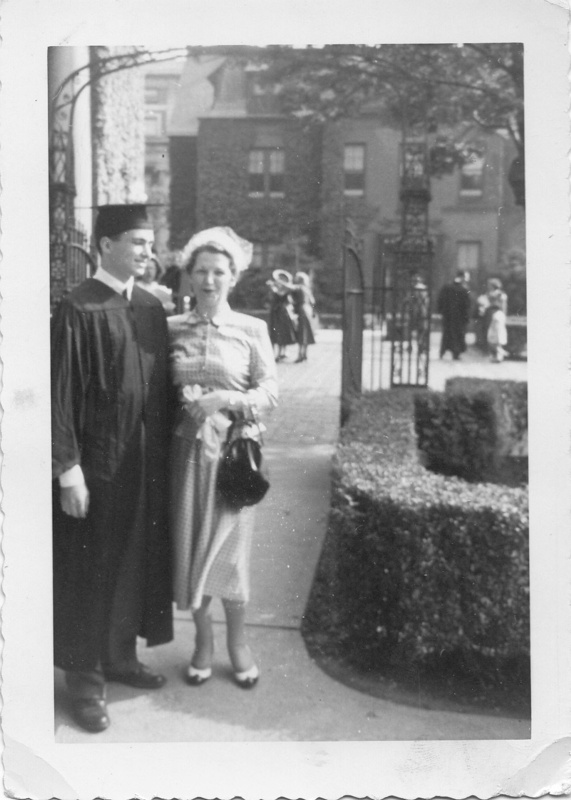 I came along eleven months later, just two months after my father’s graduation from Columbia. In the years that followed, my parents had two more children, moved to the suburbs, and lived a good life. Theirs was a true love match, and they adored each other through 67 years of marriage. Yes, there were hard times and harsh words at times, but I never once doubted that they were devoted to each other. 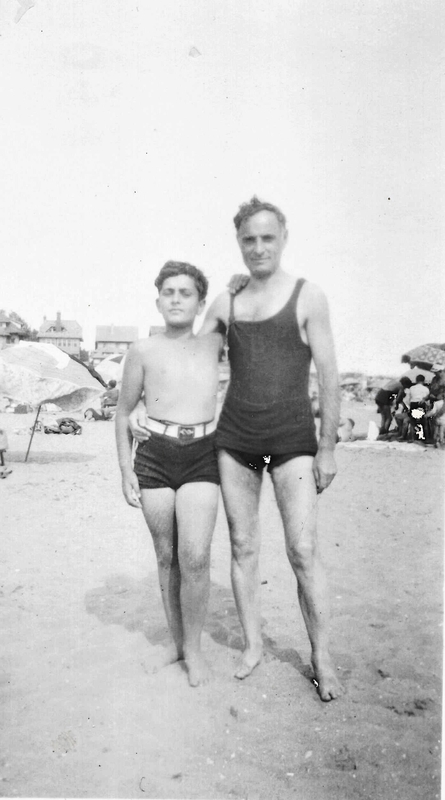 My father worked first for an architectural firm in New York City, commuting with all the other fathers. 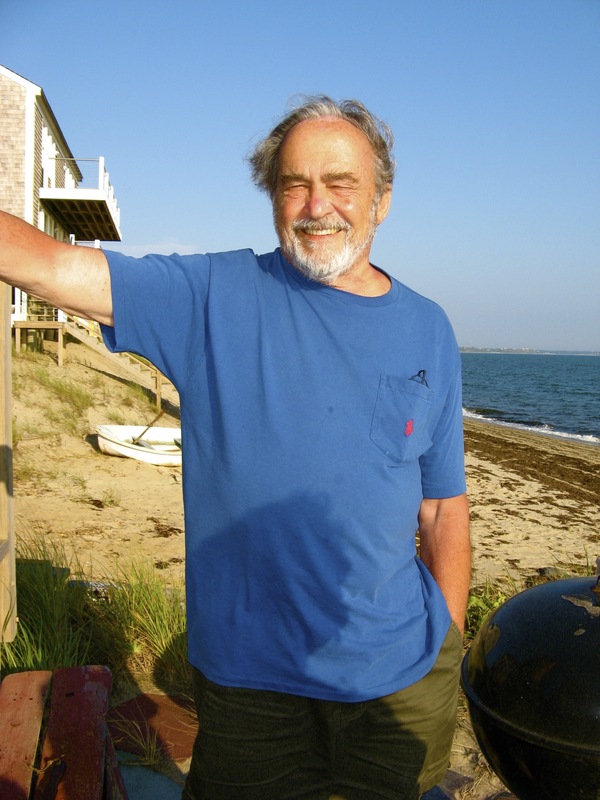 But not many years later he left the firm and established his own practice, a practice he maintained into his 90s, working with people and developers on houses, office buildings, additions, and other work. Although my father had a hard childhood, his adult life was happy and fulfilling. He loved his family, and he loved his work. 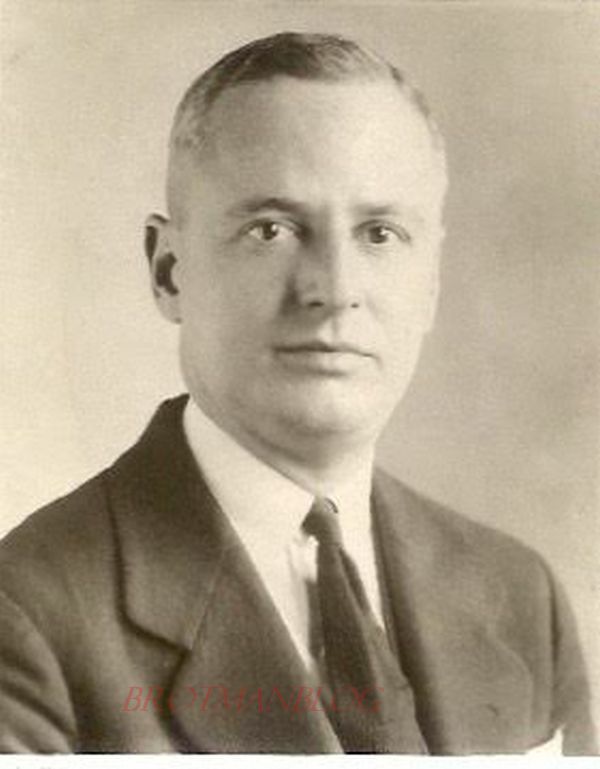 He was active in his local community, working as a volunteer fireman and as a member of the planning board. 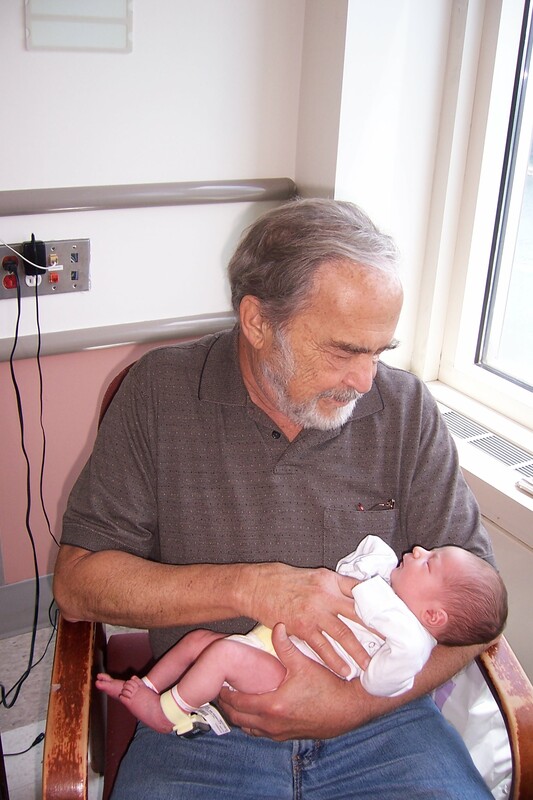 When he died at age 92 on February 16, 2019, he was a well-loved and much respected member of his community and an adored husband, father, grandfather, uncle, and great-grandfather. His was truly a life well lived. About two months ago we did a crazy thing. 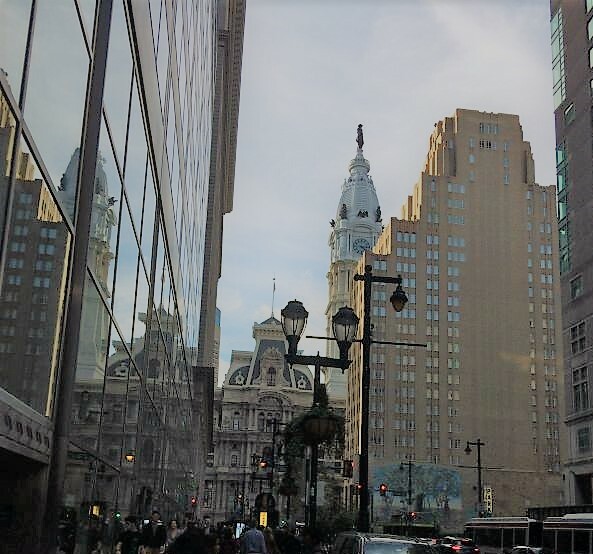 We drove five and a half hours from western Massachusetts to Philadelphia and spent just 24 hours in the City of Brotherly Love before turning around and returning home. So how did this crazy thing happen? I had received an email from my third cousin Jan Sluizer. Her great-grandmother Elizabeth Cohen was the sister of my great-grandfather Emanuel Cohen. We are both the great-great-granddaughters of Jacob Cohen and the three-time great-granddaughters of Hart Levy Cohen. Jan lives now in California, but she grew up in Philadelphia and was coming east for a high school reunion. She wanted to know if we could get together. 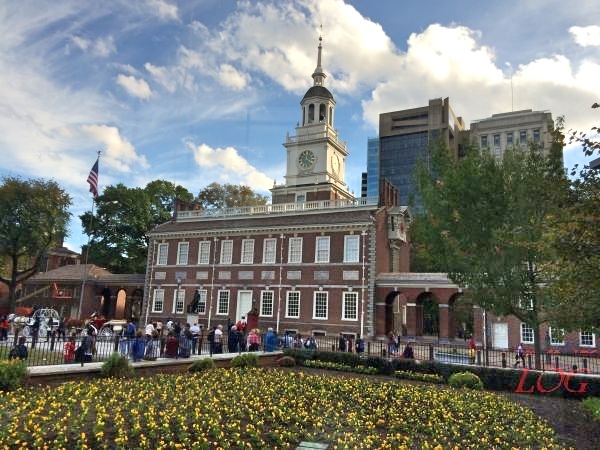 For several years I have wanted to visit Philadelphia—the place where my earliest American ancestors came in the 1840s, the place where my father was born and raised. Of course, I’d been to Philadelphia many times growing up to visit my grandmother and my aunt. But I’d never seen where my ancestors lived or were buried. I’d never even seen the places where my father had lived. 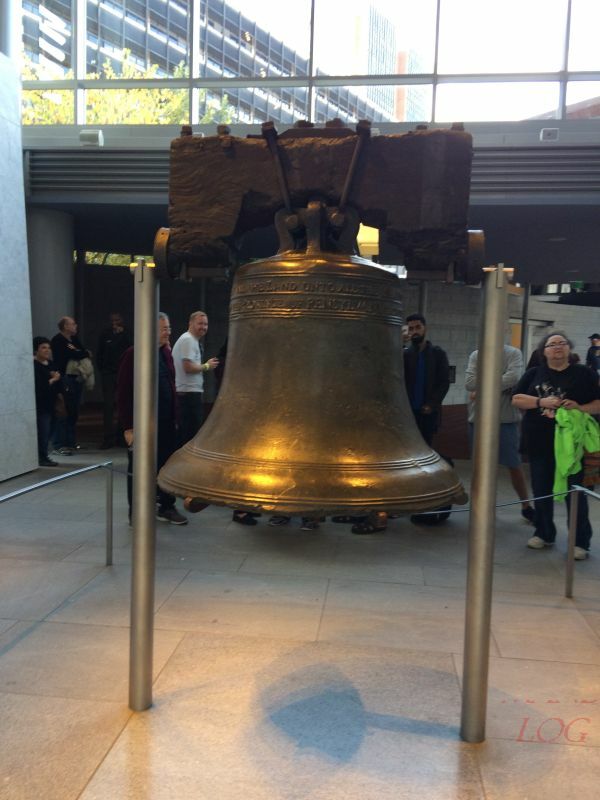 In fact, I’d never seen Independence Hall or the other historic sights in Philadelphia. I knew that to do everything I wanted to do, I’d need more than 24 hours. But it has been a hectic fall with far too many weekends away from home. The most we could do was get there on Saturday and leave on Sunday. And to top it off, a major storm was predicted for Sunday, meaning we’d have to hit the road even earlier than we had once hoped. It was indeed crazy. But I am so glad we did it. In the hours we had on Saturday, I managed to accomplish a few of the things I’d wanted to do. 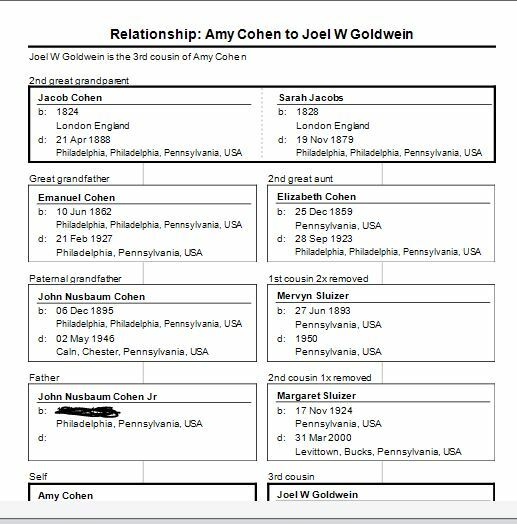 First, we took a tour of all the places where my Philadelphia ancestors had lived, starting with my great-great-grandparents Jacob Cohen and Sarah Jacobs and my three-times great-grandparents John Nusbaum and Jeanette Dreyfuss all the way to the last place my father lived in Philadelphia before moving to New York and marrying my mother in 1951. Here in the order in which my family occupied these places (though not in the order we saw them) are my photographs from that day. 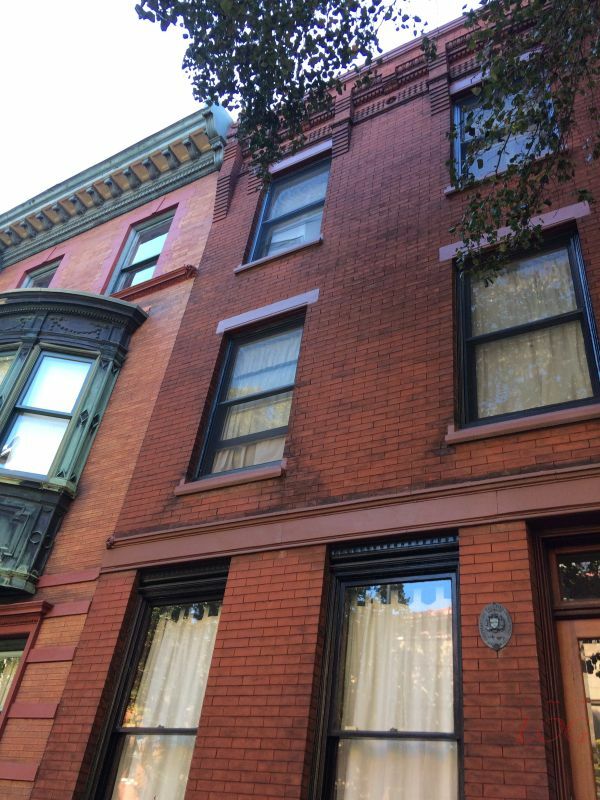 Jacob Cohen lived for many years at 136 South Street. His pawnshop was nearby. And this is where he and my great-great-grandmother Sarah Jacobs raised their thirteen children, including my great-grandfather Emanuel. I do not think these are the same buildings that were there in the in the mid=19th century, but this is the street where they lived. 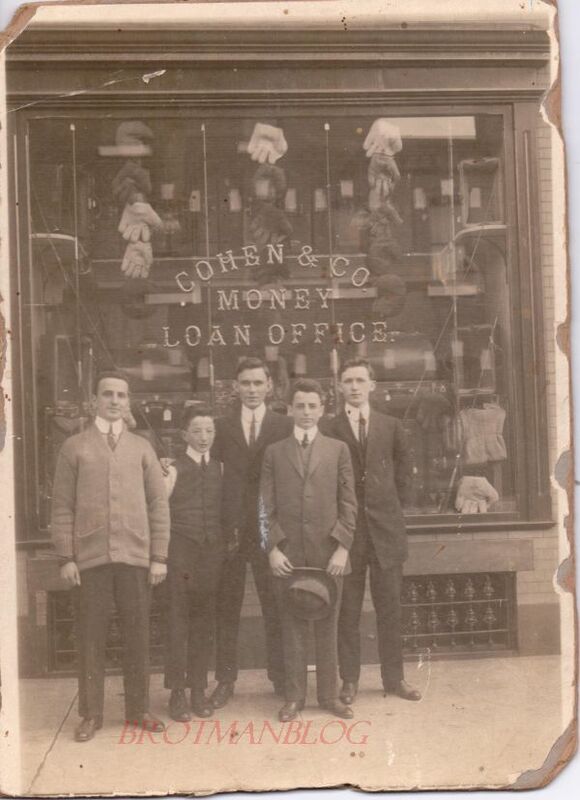 For decades the Cohens lived in this neighborhood where many of the German Jewish immigrants lived. 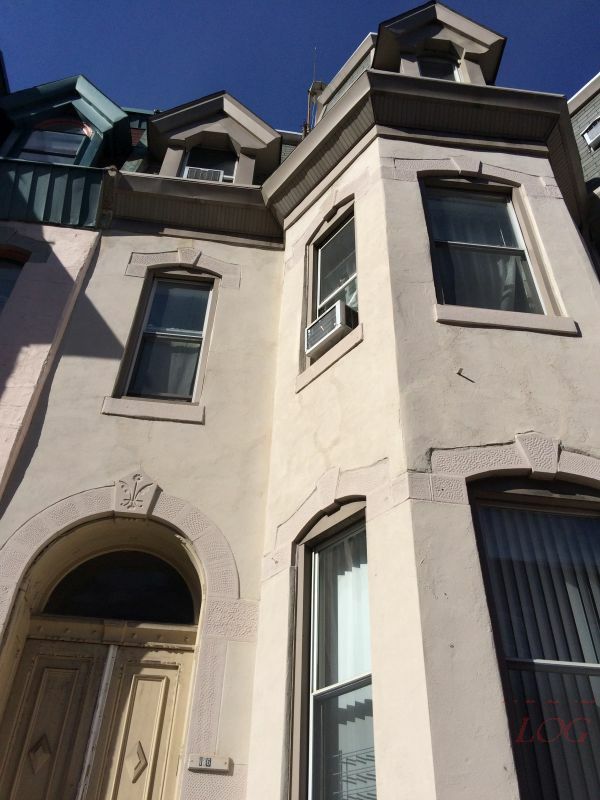 But my other early-arriving ancestor John Nusbaum lived on the north side of Philadelphia during this same period at 433 Vine Street and 455 York Street. We drove down these streets, but again the buildings that were there in the era are long gone, and I didn’t take any photographs here. It was mostly warehouse buildings and abandoned or run-down buildings. Since my Nusbaum ancestor was a successful merchant, I imagine that in his time this area was quite desirable, in fact more desirable than area south of the city where the Cohens lived. 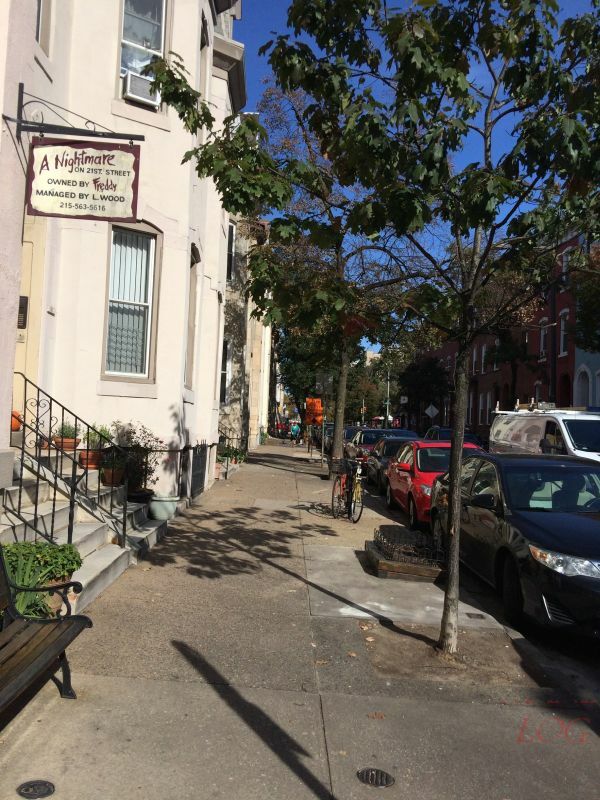 Today, however, the South Street neighborhood is quite chic and inhabited by young professionals and clearly more desirable than the neighborhood where the Nusbaums lived. 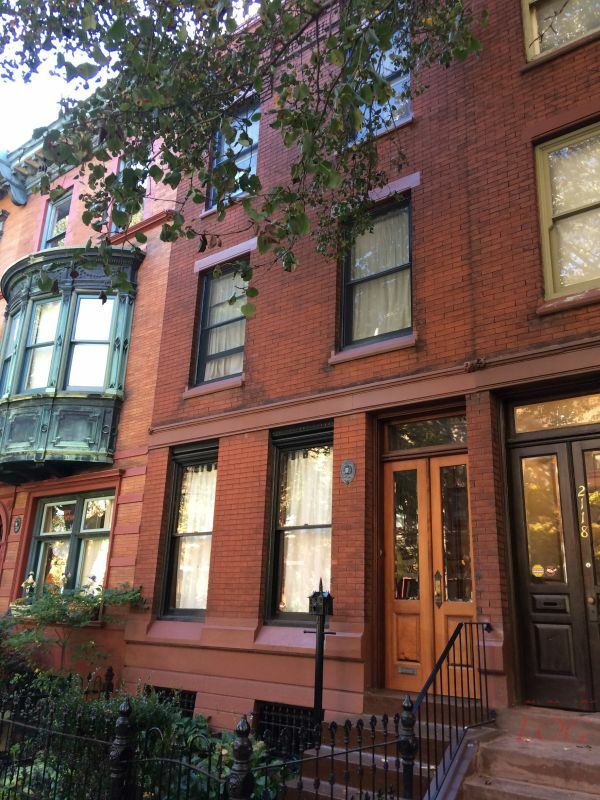 Although my great-great-grandparents Bernard Seligman and Frances Nusbaum lived almost their whole married life in Santa Fe, their last years were spent in Philadelphia at 1606 Diamond Street. Bernard died in 1903, and Frances in 1905. 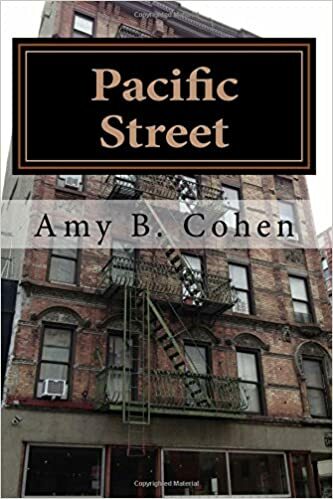 During that same period Bernard’s daughter Eva Seligman Cohen, my great-grandmother, and my great-grandfather Emanuel Cohen were also living on Diamond Street. That neighborhood is also in North Philadelphia. Here is a Google Streetview of that street today. I don’t think these were the buildings that were there in the early 1900s, but I am not sure. I had better luck as I moved further into the 20th century. 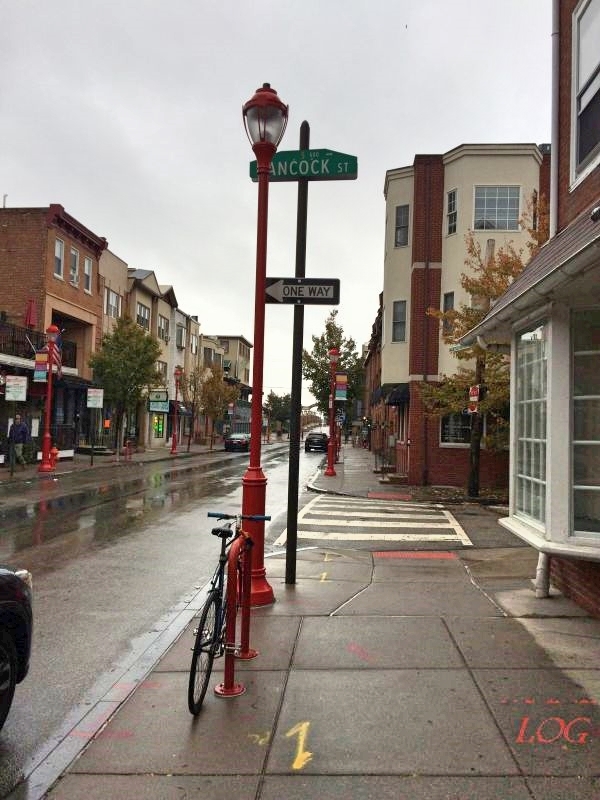 In 1920 Emanuel Cohen and Eva Seligman Cohen, my great-grandparents, were living on Green Street close to what is now the downtown district of Philadelphia. 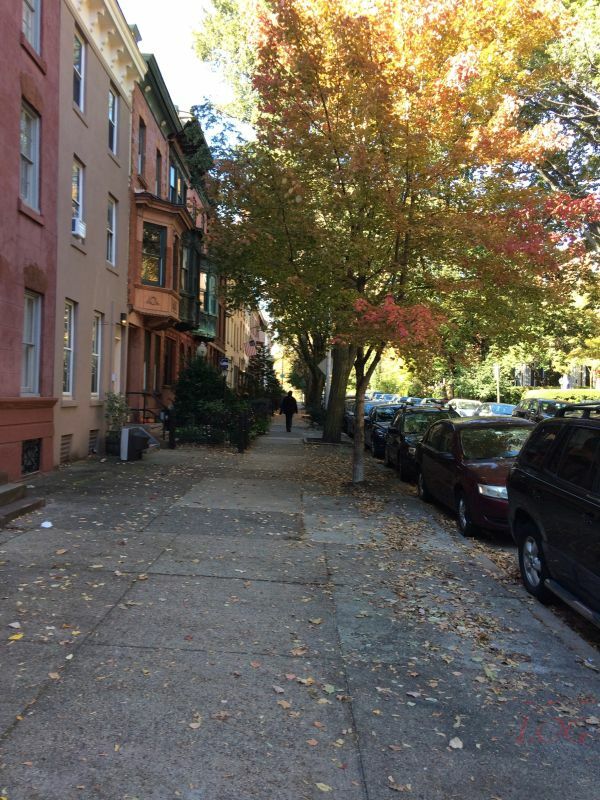 It is a lovely tree-lined street with cafes and historic brick townhouses in what is clearly a gentrified neighborhood. 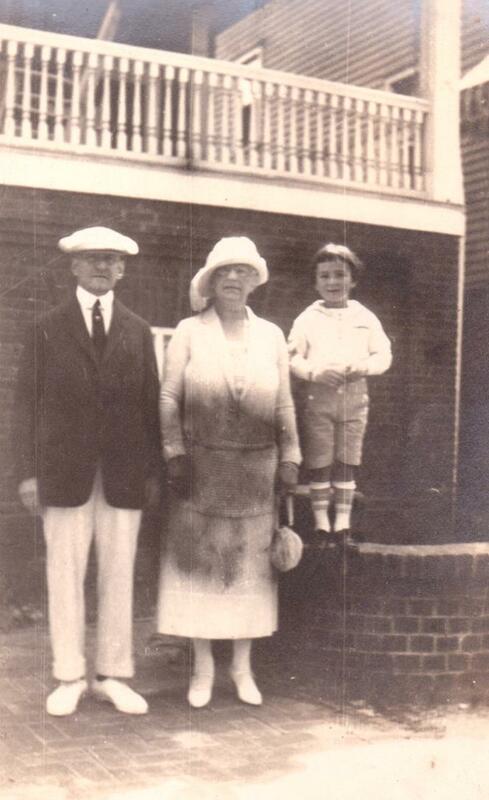 I wonder what it was like when my great-grandparents and my grandfather John Cohen lived there in 1920. I did find the apartment building where my father and aunt were living with their grandmother Eva Seligman Cohen in 1939 when she died. 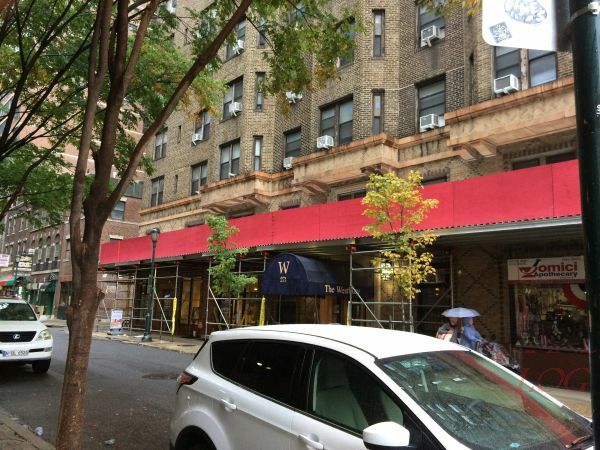 It is in the downtown area of Philadelphia and still called the Westbury Apartments. 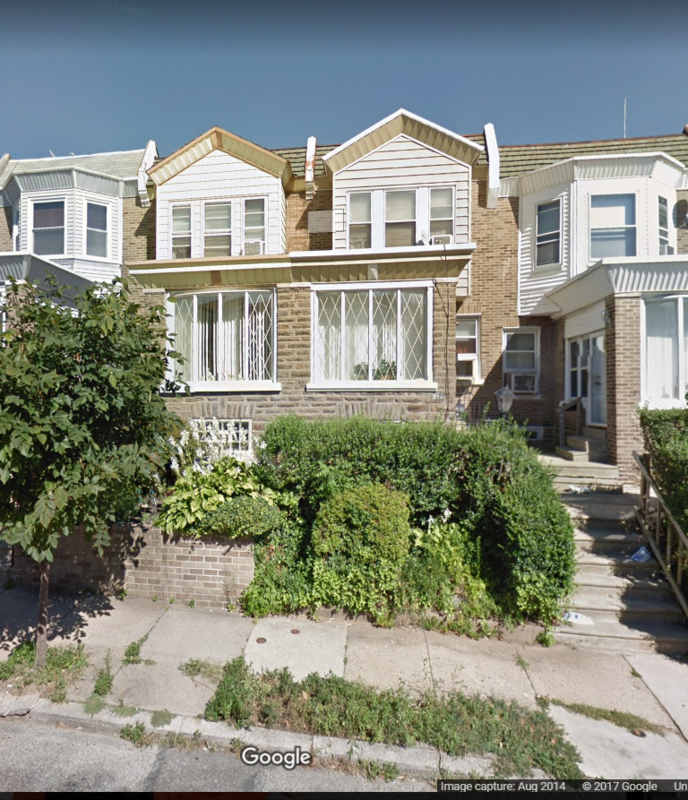 In 1940, my father, aunt, and grandmother were living in North Philadelphia at 106 Venango Street. That building is no longer there unfortunately. It is now a commercial area with warehouses and factory-like buildings. 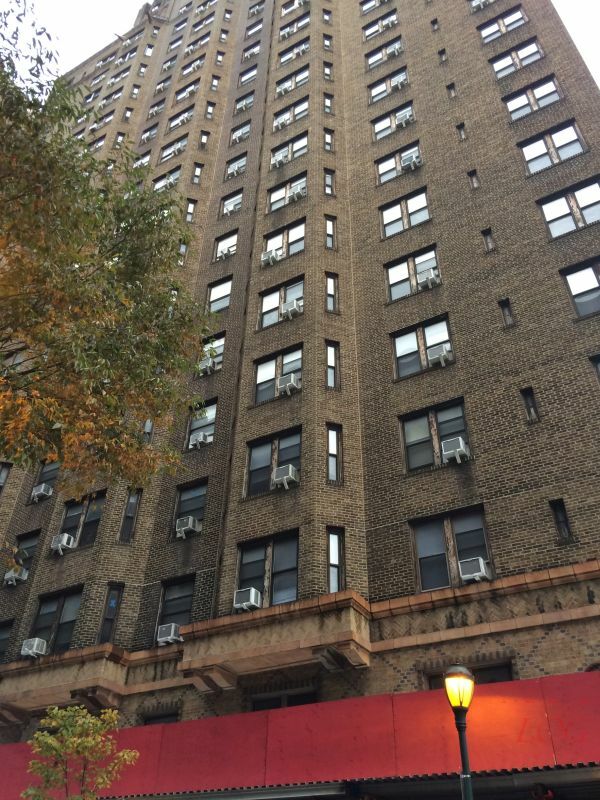 But In 1950 they were living on North 21st Street in this building—another lovely tree-lined street not far from the center of the city. Touring the city this way was enlightening because it provided some insights into the patterns of gentrification and how they have changed since 1850. My ancestors for the most part started in the southern part of the city and as they moved up the economic ladder, they moved north of the city to an area that was newer, less crowded, and more “gentrified.” But today that pattern has reversed. 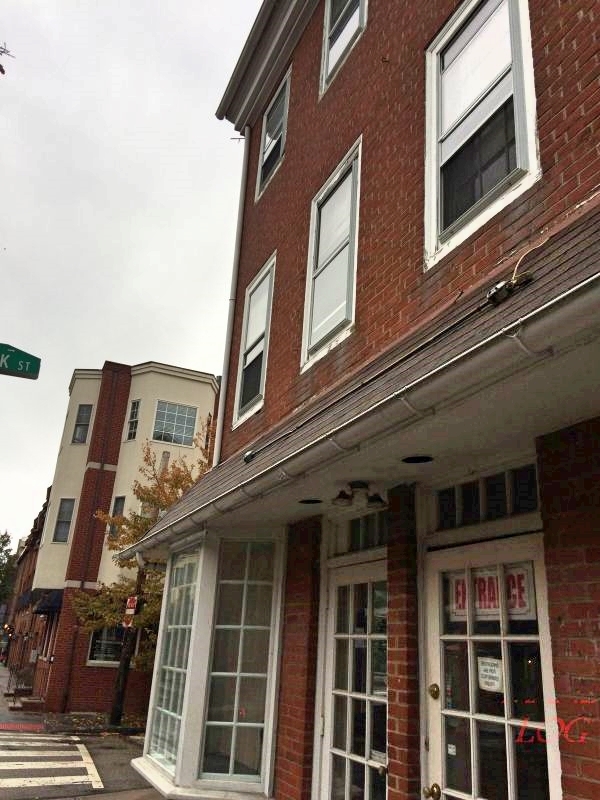 Young professionals want to live close to downtown and have returned to the neighborhoods closest to the center of the city like Green Street and South Street. The neighborhoods around Venango Street and Diamond Street were long ago abandoned by those moving out to the suburbs in the post-World War II period and are now depressed sections of the city. After a visit to the National Museum of American Jewish History and the Liberty Bell and a walk along Market Street, we met Jan for dinner in the area known as Rittenhouse Square, another gentrified neighborhood with lots of boutiques, bars, and restaurants. Meeting Jan was a delight. 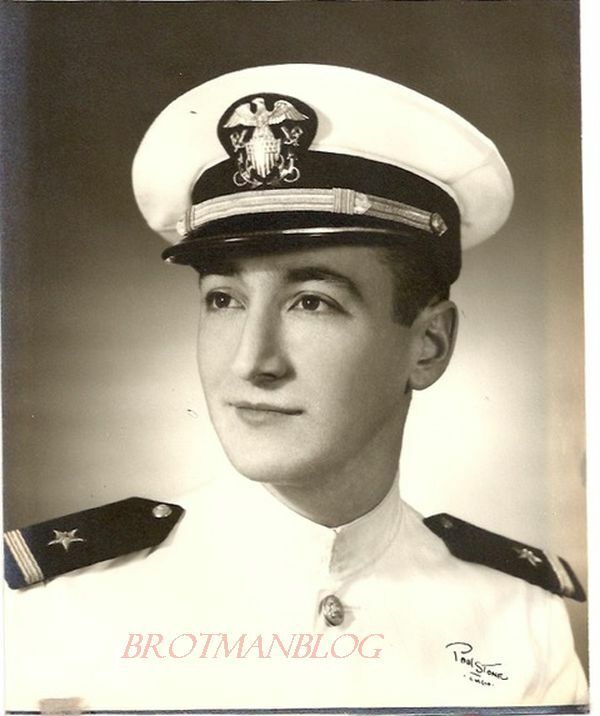 We had long ago connected by email when Jan shared all the stories about her father Mervyn Sluizer, Jr., and her grandfather Mervyn, Sr., and the rest of her family. Now we were able to meet face to face, share a meal together, and connect on a deeper level than email allows. The following day the rain began, but I was determined to try and see where my ancestors were buried. 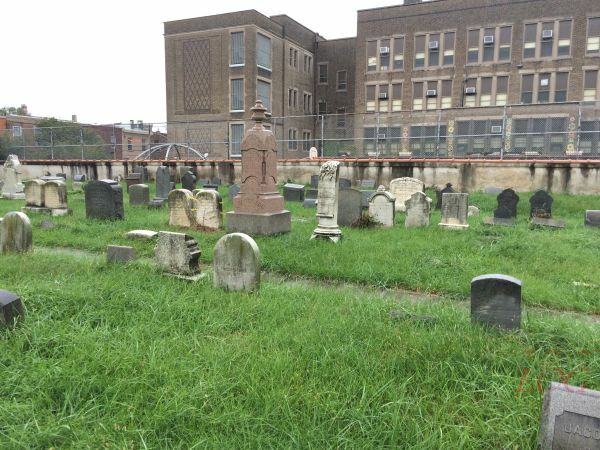 Our first stop was Mikveh Israel synagogue, where we met Rabbi Albert Gabbai, who took us to the second oldest Jewish cemetery in Philadelphia. 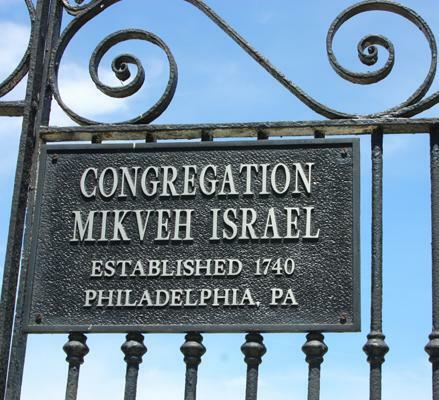 Mikveh Israel has been in Philadelphia since before the American Revolution and was where my earliest Cohen ancestors belonged. It was then located about a mile from 136 South Street where Jacob Cohen lived. Although the original building is long, long gone, the synagogue still is in that same neighborhood, now on North 4th Street. 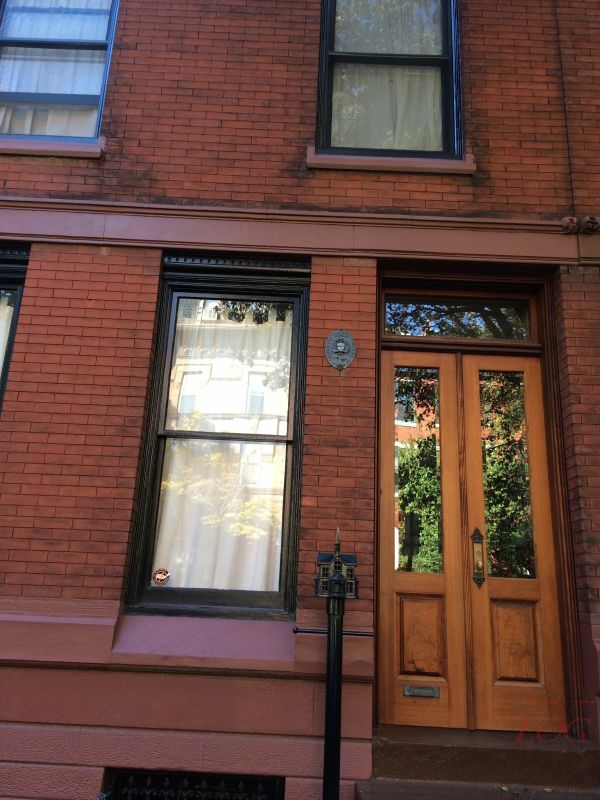 According to the rabbi, it now attracts empty nesters who have moved into downtown Philadelphia. Another example of urban gentrification. Jews who long ago left downtown are now returning in their later years. Rabbi Gabbai drove us to the Federal Street cemetery, the second oldest Jewish cemetery in Philadelphia, where he patiently and generously guided us with a map to see the gravestones of Jacob and Sarah Cohen as well as the location of Hart Levy Cohen’s grave (his stone has either sunk into the ground or otherwise disappeared). While we walked through the cemetery, I also spotted the stones for Jan’s other great-great-grandparents, Bernard and Margaret Sluizer, and her three-times great-grandmother Jeanette Sluizer. I was very touched when I realized that Bernard and Margaret Sluizer are buried in the plots that abut Jacob and Sarah’s plots. 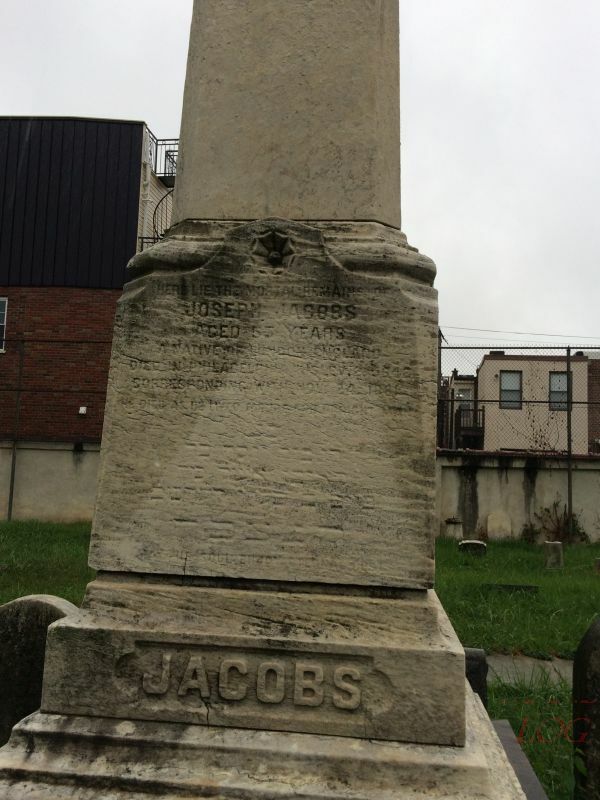 I also found a stone for Joseph Jacobs, my 3-times great uncle, brother of Sarah Jacobs Cohen. Unfortunately, it was pouring by this time, and I could not find any small stones to put on the gravestones to mark my visit, which left me feeling as if I’d let my ancestors down. Unfortunately, despite my good planning, I had no luck. 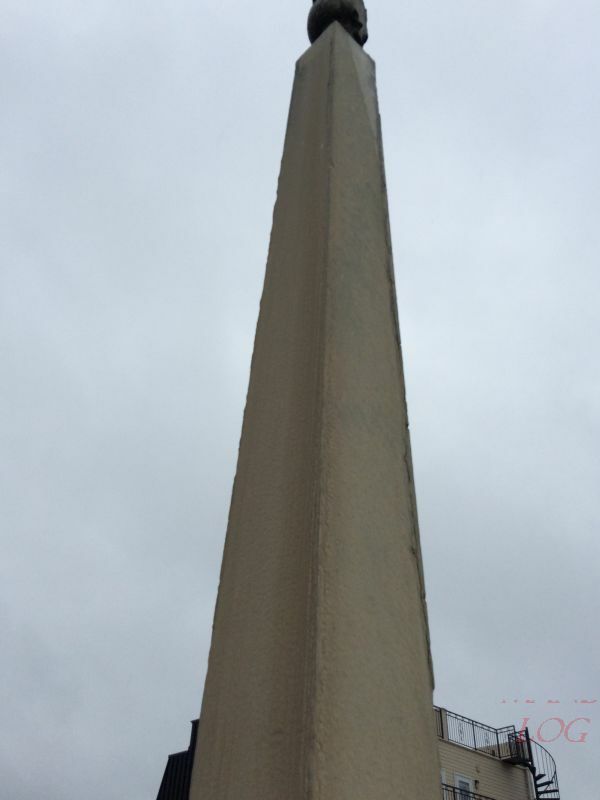 There was no office and no one at the cemetery; there was no map posted of the cemetery. And there were no obvious markings in the cemetery identifying sections or plots. And it was pouring. 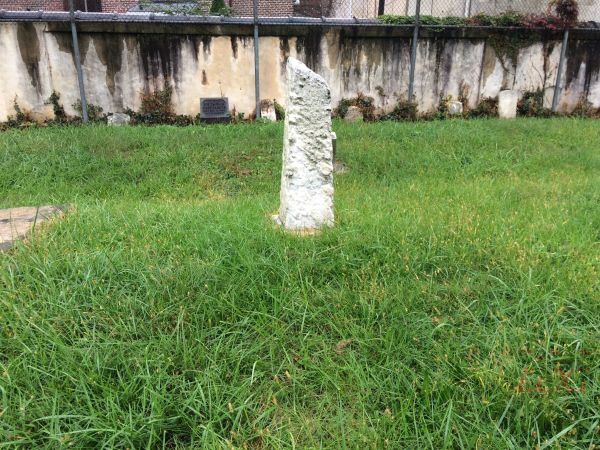 This is the stone for Simon Schoenthal, my great-grandfather’s brother, and his wife Rose Mansbach, who was also related to me by the marriage of her cousin Marum Mansbach to my great-great-grandfather Gerson Katzenstein’s sister Hannchen. It also marks the burial place of two of their children, Martin and Harry, as well as Harry’s wife Esther, and their son Norman. 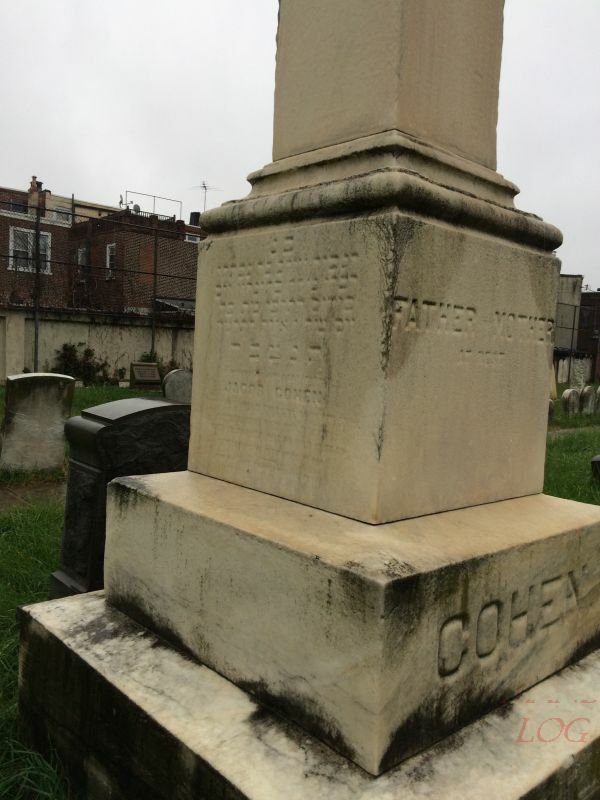 I was delighted that I had found this marker, but nevertheless disappointed that I could not find the place where my grandfather John Cohen is buried along with his parents, Emanuel Cohen and Eva Seligman. Nor did I find any of the others I had been hoping to visit. From there we headed home, leaving Philadelphia exactly 24 hours after we’d arrived. It was a wet and long trip home, but I still was glad we had made this whirlwind visit. I was able to meet Jan, I saw places where my ancestors lived and are buried, and we were introduced to the city where so many of my relatives have lived. It was not enough, so we will have to return. Next time we will need to spend at least 48 hours! I had broken my ankle a few weeks before the trip. It’s better now. 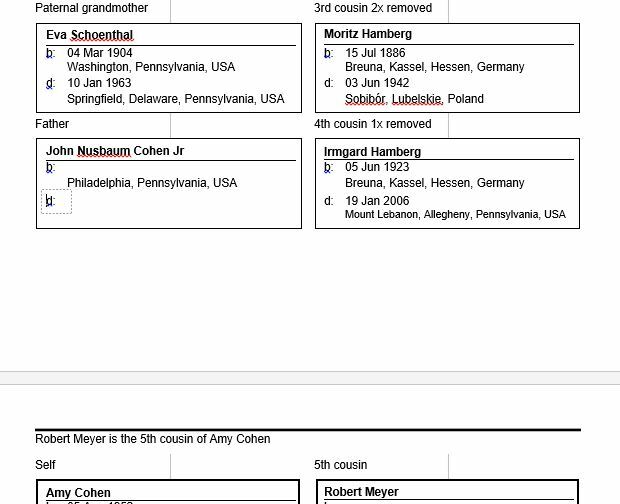 In my last post I described my discovery that Rose Mansbach Schoenthal was not only related to me by her marriage to Simon Schoenthal, the brother of my great-grandfather Isidore Schoenthal, but that she was also related by marriage to my other great-grandfather Gerson Katzenstein through her Mansbach cousins. This post is about another discovery of a strange twist in my family tree, but this one involving two living cousins. 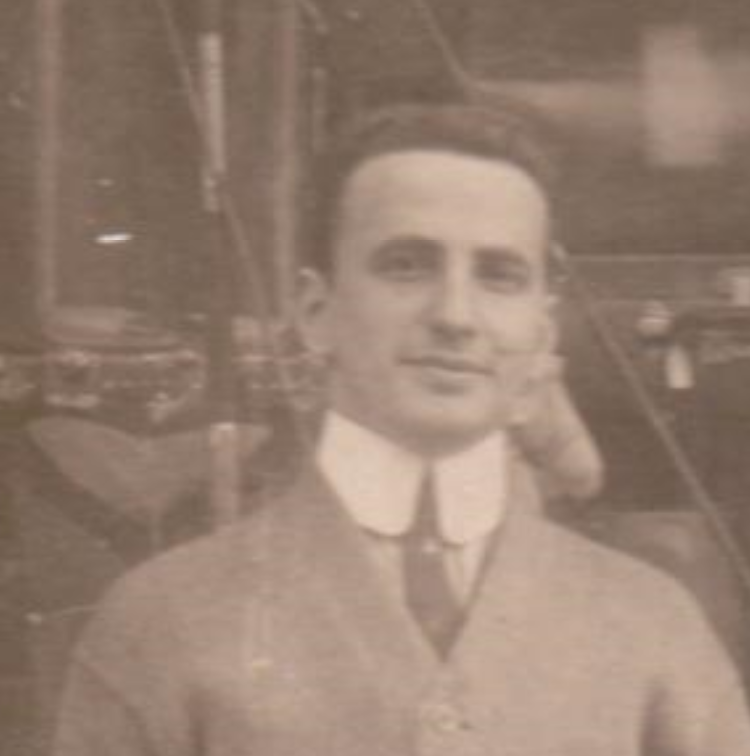 Last week I received a comment on an old blog post about Elizabeth Cohen, who was the sister of my other great-grandfather, Emanuel Cohen. The man who left the comment on my blog, Joel Goldwein, is the great-grandson, through his mother’s side, of Elizabeth Cohen. He is thus my third cousin. I was, of course, delighted to make this connection, and I emailed Joel to learn more about him and our mutual family. 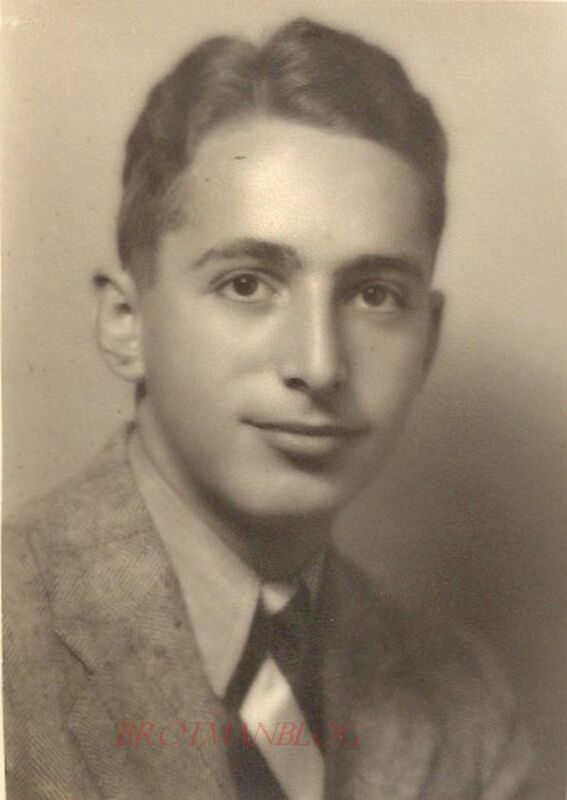 In the course of the exchange of emails, Joel shared information not only about his mother’s family, but also about his father, Manfred (Fred) Goldwein, who had escaped from Nazi Germany on the Kindertransport to England. His father’s parents and other family members, however, were murdered by the Nazis. 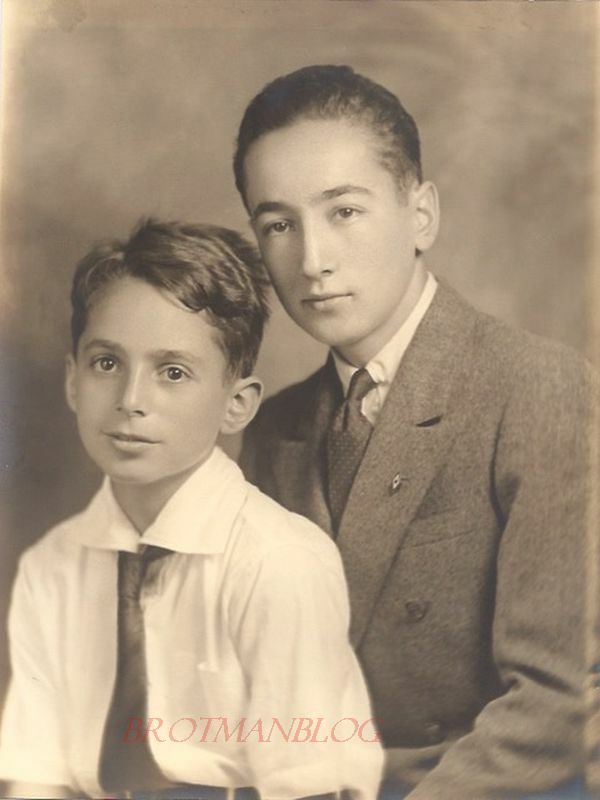 Joel sent me a link to a website about his son’s bar mitzvah in Korbach, Germany, the town where his father was born and had lived until he left Germany. I was very moved by the idea that Joel’s family had returned to this town to honor the memory of his father’s family. I mentioned that I was going to be in Germany, not far from Korbach, because I had Hamberg ancestors from Breuna. Joel then mentioned that his paternal great-grandparents are buried in Breuna and that he had visited the cemetery there. He sent me a link to his photographs of the cemetery, and I looked through them in search of anyone named Hamberg. 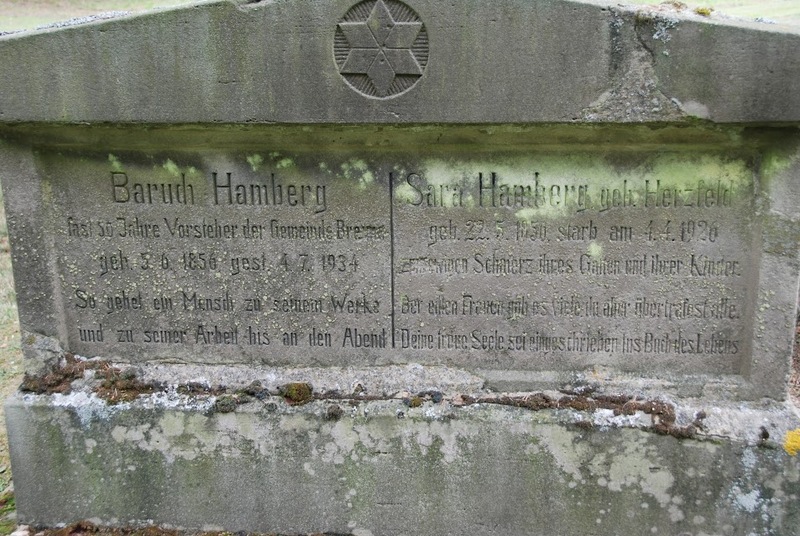 Baruch Hamberg was the second cousin of my great-great-grandmother, Henrietta Hamberg Schoenthal. 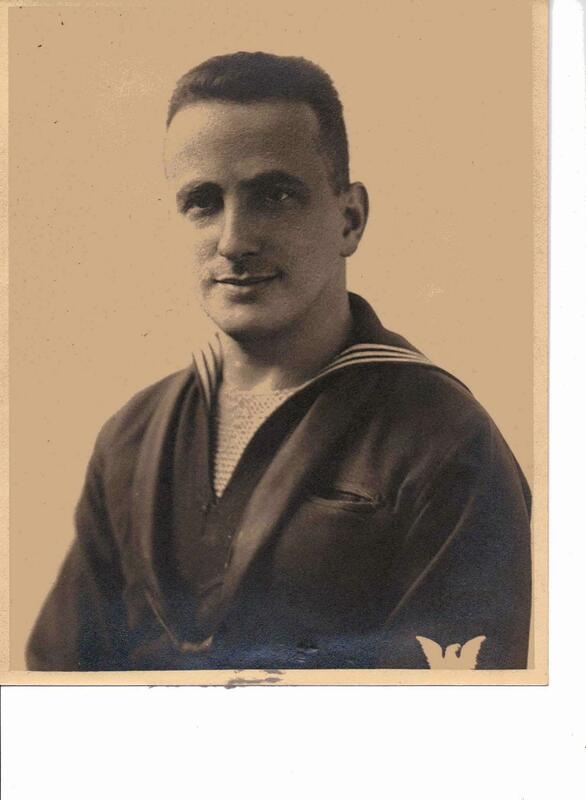 More importantly, he was the great-grandfather of my fifth cousin, Rob Meyer. Some of you may remember the story of Rob. He and I connected through JewishGen’s Family Finder tool about a year and a half ago, and we learned that not only did Rob live about a mile from where I had once lived in Arlington, Massachusetts, we also had very good mutual friends. 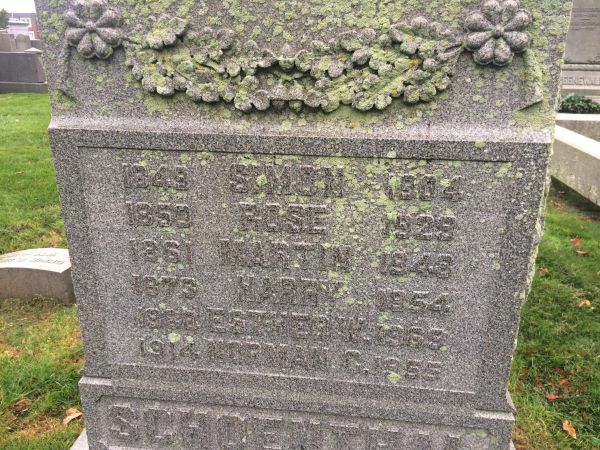 It was one of those true goosebump moments in my genealogy research, standing in a cemetery in Longmeadow and talking to Rob as we realized that we both had the same close friends. 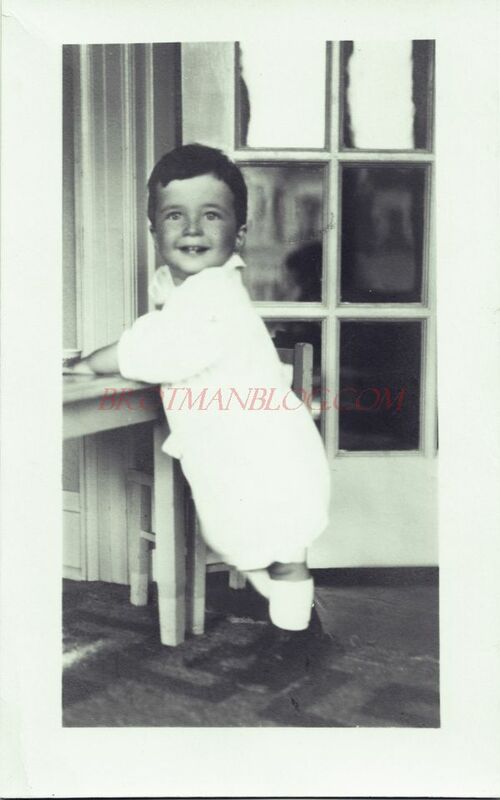 Rob’s mother had, like Joel’s father, escaped from Nazi Germany, and she also, like Joel’s father, had lost most of the rest of her family in the Holocaust. I sent the headstone photograph to Rob, and I asked whether he might be related to Joel. Rob answered, suggesting that perhaps he was related to Joel not through Baruch Hamberg, but through Baruch’s mother, Breinchen Goldwein. 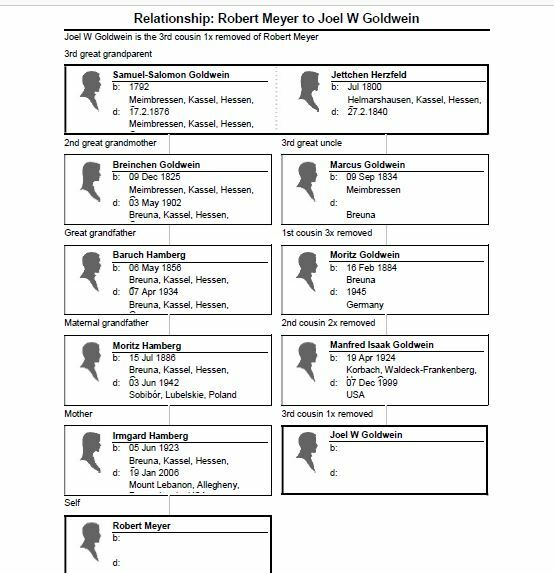 A little more digging around revealed that in fact Joel was related to Breinchen: her brother Marcus Goldwein was Joel’s paternal great-grandfather. It gave me great pleasure to introduce Rob and Joel to each other, who soon discovered that not only are they third cousins through their Goldwein family line, they are also both doctors and both graduates of the same medical school. And they are both my cousins, Rob through his mother’s Hamberg side and Joel through his mother’s Cohen side. There truly are only six degrees of separation. 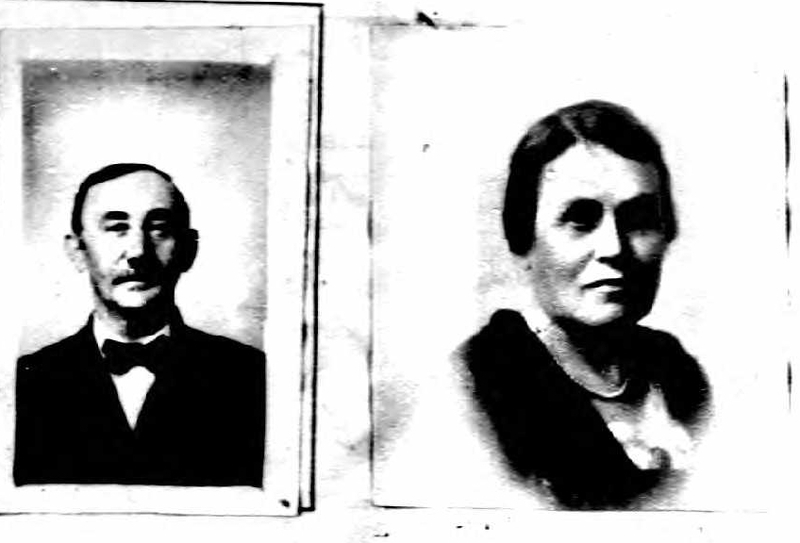 I have now written about all of the siblings of my great-grandmother, Hilda Katzenstein Schoenthal, as well as about her parents and some of her aunts, uncles, and cousins. I still have more of the Katzenstein extended family to discuss, but first I want to look back at the life of my great-grandmother. Her story has been covered only in bits and pieces through the stories of her husband and children and through the stories of her parents and siblings. Isn’t that all too often the case with women—that their stories are seen only through the stories of those who surrounded them? Especially since this is Women’s History Month, I wanted to be sure to give my great-grandmother her own page, her own story. Hilda was the third daughter and sixth and youngest child of her parents, Gerson Katzenstein and Eva Goldschmidt. She was the third of the six to be born in the United States—in Philadelphia on August 17, 1863. When Hilda was three years old, her sibling closest in age, Hannah, died at age seven from scarlet fever. Hilda was seven years younger than her brother Perry, who was the second closest to her in age, and so there was a big gap between Hilda and her surviving older siblings. Joe was fifteen years older, Jacob thirteen years older, and Brendena was ten years older than Hilda. My great-grandmother was the baby of the family, and I would imagine that after losing their daughter Hannah, her parents must have been very protective of her. Her sister Brendena married Jacob Schlesinger in 1871 when Hilda was just eight years old. 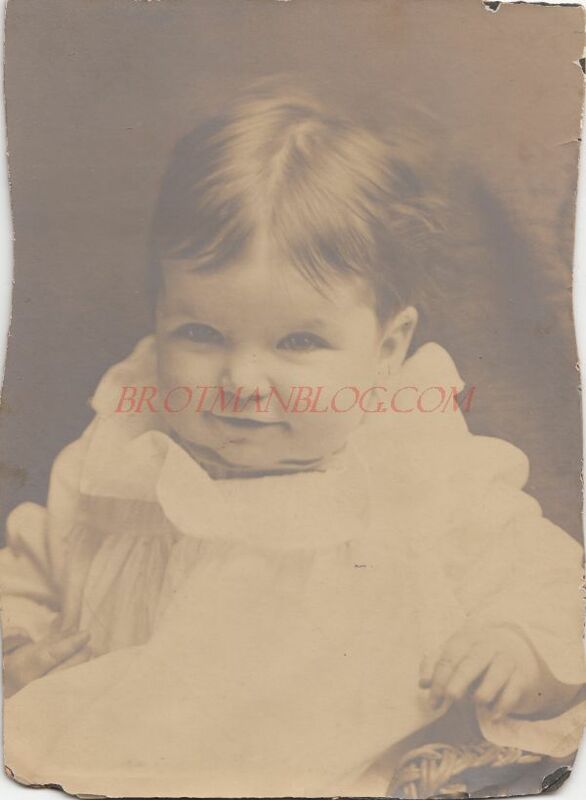 By the time Hilda was ten years old in 1873, her oldest brother Joe had moved to Washington, Pennsylvania, and within a few years after that her other two brothers, Jacob and Perry, had also moved to western Pennsylvania. Thus, Hilda was still quite young when her older siblings left home, leaving her to live with just her parents. 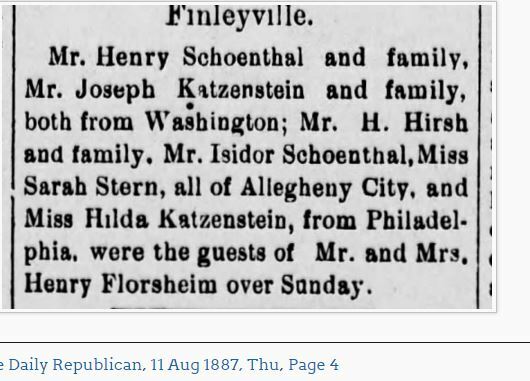 But her brother Joe’s move to Washington, Pennsylvania proved fateful for Hilda and for my family as it was there that she met her future husband, my great-grandfather Isidore Schoenthal, who had only arrived in the US a few years earlier from Sielen, Germany. Hilda married him in 1888 when she was 25 years old and settled with him in Little Washington where he was a china dealer. Their first son, Lester, was born that same year. Then a series of tragic events hit the Katzenstein family. In the spring 1889, Hilda’s brother Jacob lost his wife Ella and both of his sons, one before the Johnstown flood and two as a result of the flood. 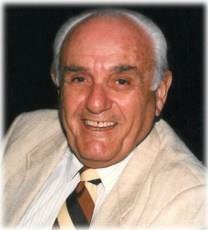 The following year, my great-grandfather Gerson died at age 75. 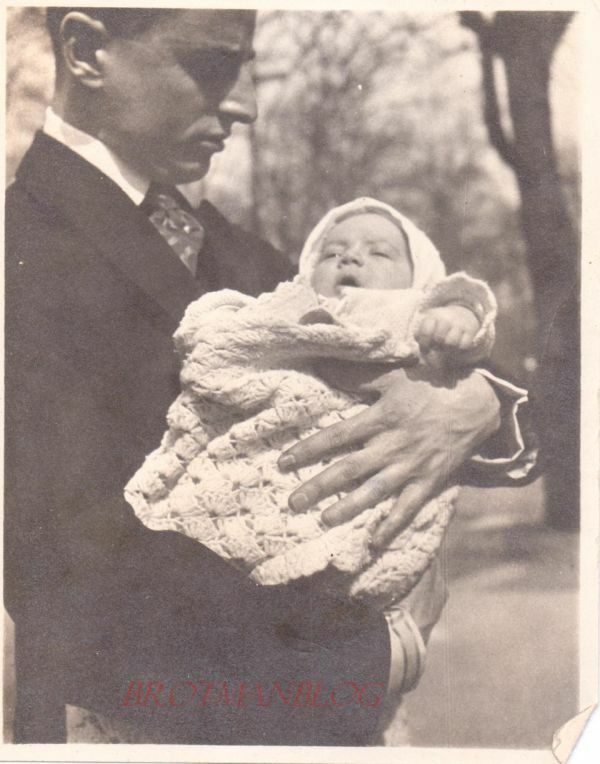 Hilda named her second child for her father; Gerson Katzenstein Schoenthal was born on January 20, 1892. 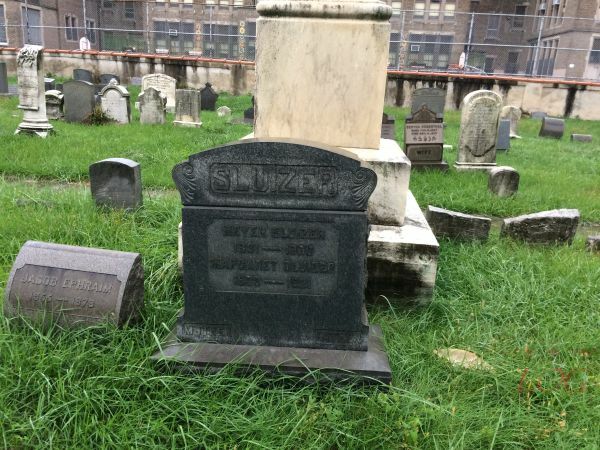 A year later Hilda lost her mother, Eva Goldschmidt Katzenstein, on September 6, 1893; she was 66. 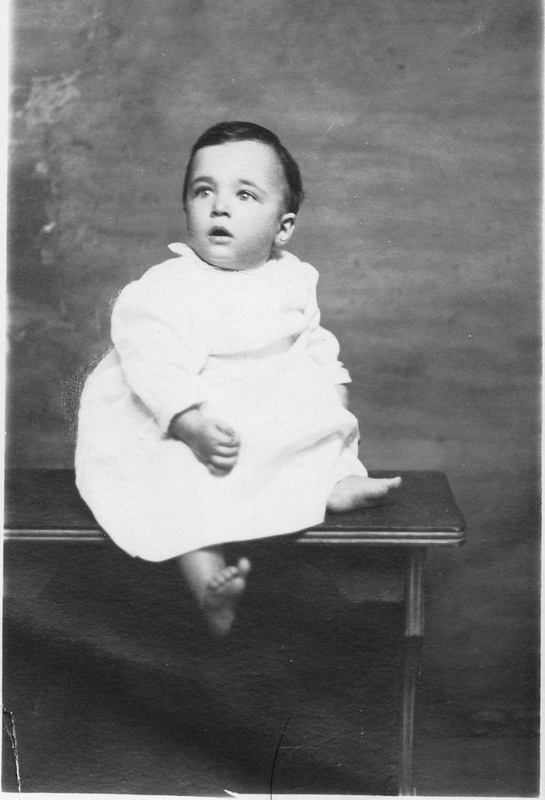 Hilda did not have another child until August, 1901, when my great-uncle Harold was born—more than nine years after Gerson. 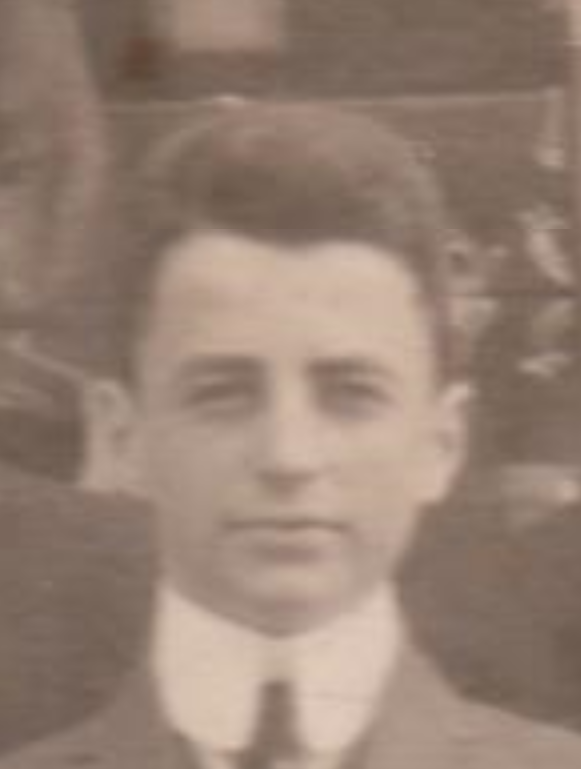 Just a few months after Harold’s birth, Hilda’s brother Joe died in December, 1901; just over a year and a half later, her brother Perry died in August, 1903. Hilda was forty years old and had lost her parents and three of her five siblings. Only Jacob and Brendena remained. 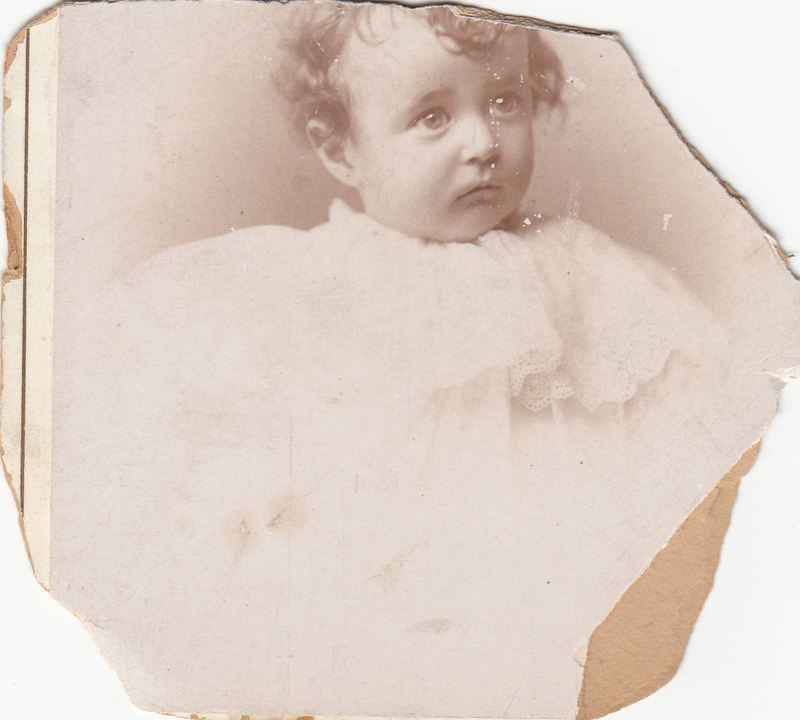 In March, 1904, my great-grandmother Hilda gave birth to her last child and only daughter, my grandmother Eva Schoenthal, named for Hilda’s mother Eva Goldschmidt Katzenstein. When my grandmother was just a small child, her parents decided to leave Washington, Pennsylvania, and move to Denver, Colorado, believing that the mountain air would be better for their son Gerson, who had developed asthma. Thus, Hilda packed up her children and belongings and moved far away from her two remaining siblings: Brendena, who was living with her husband Jacob and family in Philadelphia, and Jacob, who by that time had remarried and was living with his second wife Bertha and their children in Johnstown. I don’t believe Hilda or Isidore knew anyone in Denver, but somehow they started their lives over in this city far from their families back east. They remained in Denver for at least twenty years, raising my grandmother and my great-uncles. During the many years that Hilda lived in Denver, her brother Jacob died, and her sister Brendena lost her husband as well as both of her daughters. It must have been hard to live so far away from all of her family during those painful times. After many years in Denver, Hilda and Isidore moved back east. 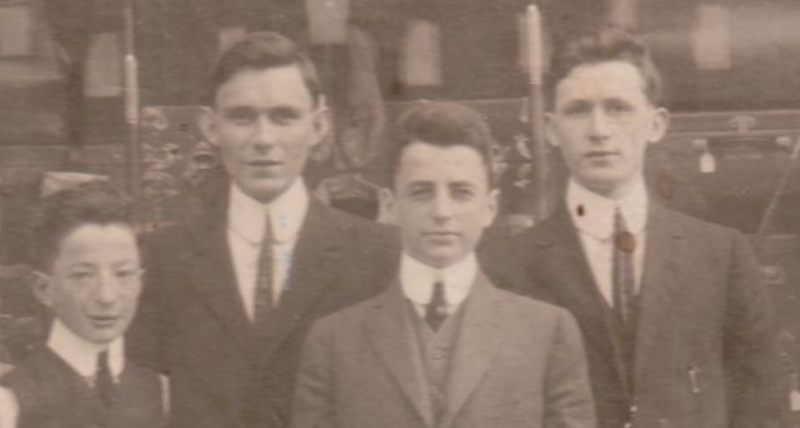 Their son Harold had gone back east for college, and my grandmother had moved to Philadelphia after she married my grandfather, John Nusbaum Cohen, in 1923. She had met him when, after graduating from high school, she’d gone to visit relatives in Philadelphia, probably Brendena’s family. 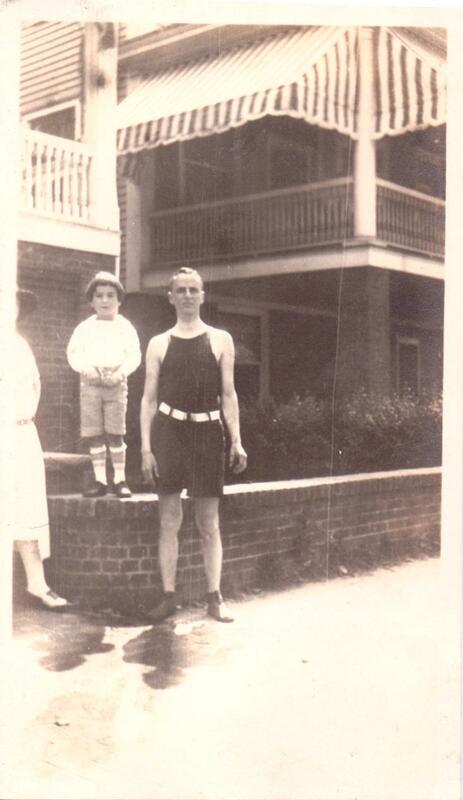 My father and aunt were born in the 1920s, and they were my great-grandparents’ only grandchildren at that time. 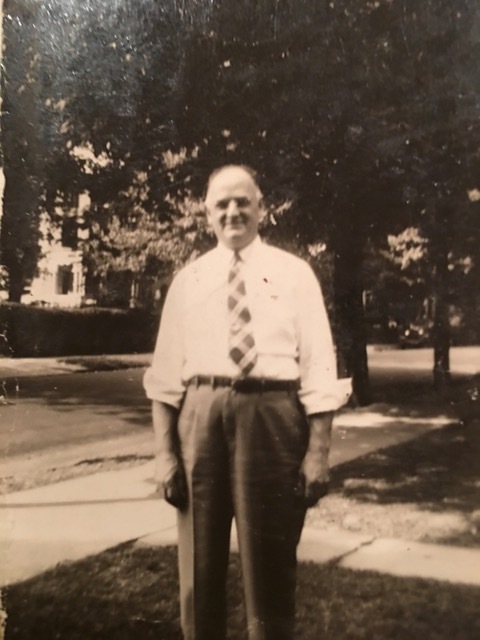 I assume that they were part of the reason that by 1930, my great-grandparents returned to the east and settled in Montclair, New Jersey, where their son Harold lived and not far from my grandmother and my aunt and father. Hilda and Isidore lived in Montclair until 1941 when they moved to Philadelphia so that my grandmother could take care of them, both being elderly and in poor health by that time. Hilda died from pneumonia on August 17, 1941, just seven months after the move to Philadelphia; she died on her 78th birthday. Her husband Isidore died eleven months later on July 10, 1942. They were buried at Restland Memorial Park in East Hanover, New Jersey. Looking back over my great-grandmother’s life, I have several thoughts. Although she was the baby of the family, she was also the only one who ventured far from where her family lived. 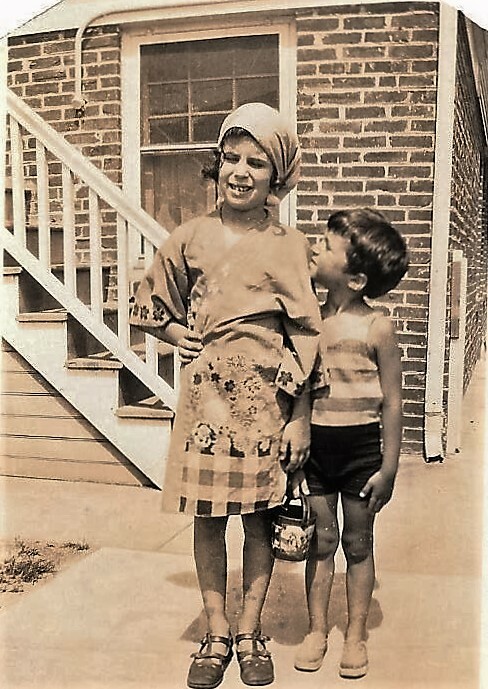 Her brothers left Philadelphia, but never left Pennsylvania; her sister lived in Philadelphia for her entire life after arriving as a child from Germany. 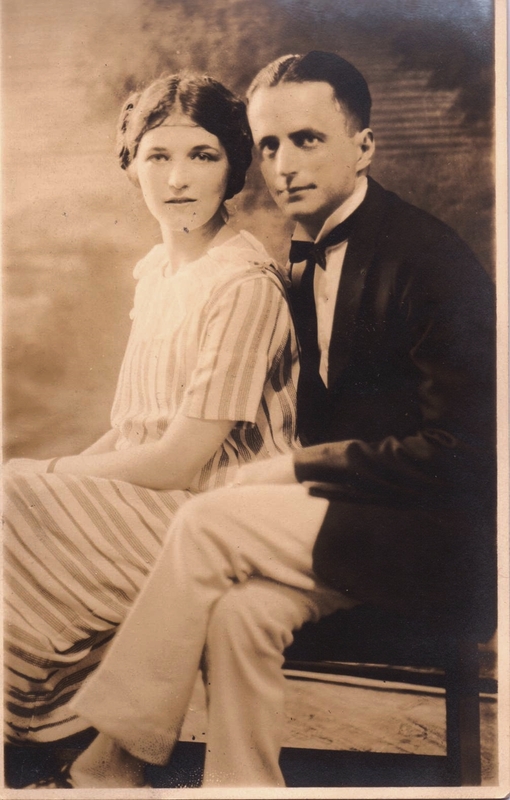 Hilda moved across the state to marry Isidore Schoenthal, and Hilda was the only Katzenstein sibling to leave the east, moving with her husband and four children all the way to Colorado. Her life was also marked by many losses, some quite tragic: a sister died as a young child, her parents died before Hilda was thirty years old, and two of her brothers died before Hilda was forty. Several nieces and nephews also died prematurely. Her brother Jacob also predeceased her; she was 52 when he died. So many losses must have had an effect on her perspective on life. On the other hand, she had a long marriage and four children who grew to adulthood. 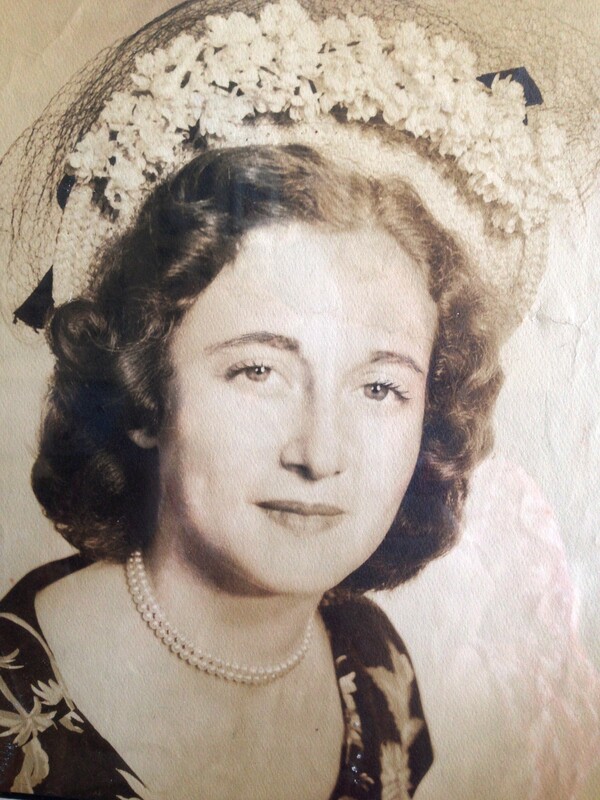 She lived to see two of her grandchildren, my father and aunt, grow to be teenagers. My father remembers her as a loving, affectionate, and sweet woman; she loved to cook, and when for a period of time he lived near her in Montclair, she would make lunch for him on school days. Hilda saw more of America than her parents and siblings, and she lived longer than any of them except for her sister Brendena, who survived her. 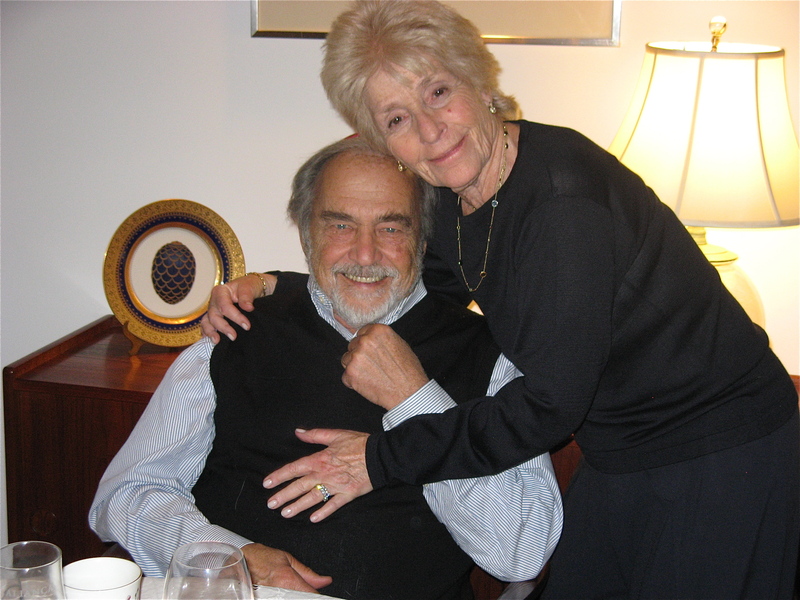 She endured many losses in her life, but the love she received from her family must have outweighed all that sadness, for my father recalls her as a very loving and positive woman. I admit that I have been putting off this blog post. Because it makes me sad. One of the great gifts I’ve experienced in doing genealogy is learning about and sometimes having conversations with older people whose memories and lives can teach us so much. The downside of that is that I am catching them in the final chapter in the lives. In the past year or so, four of my parents’ first cousins have passed away. 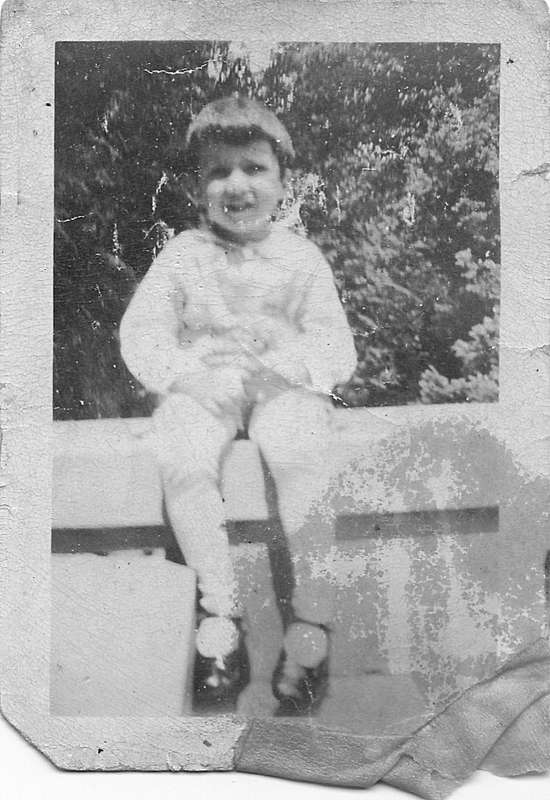 I already wrote about my mother’s first cousin, Murray Leonard, born Goldschlager, son of my grandfather’s brother David Goldschlager. You can see my tribute to Murray here, in case you missed it. 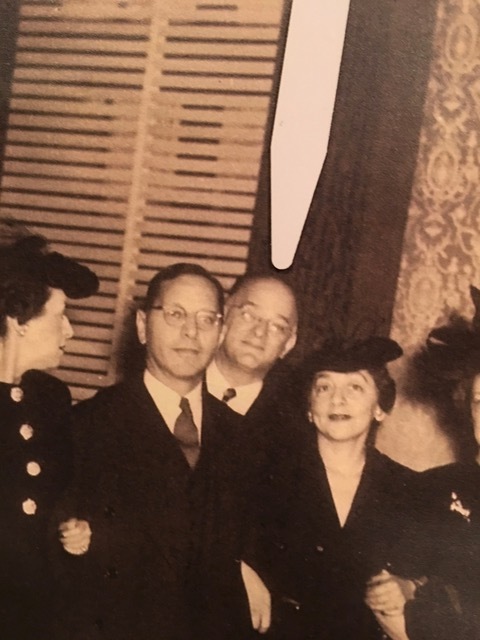 Two of my mother’s other Goldschlager-side first cousins also died in the last year: Frieda Feuerstein Albert and Estelle Feuerstein Kenner, who were sisters and the daughters of Betty Goldschlager, my grandfather’s sister, and her husband Isidor Feuerstein. Frieda died on July 30, 2015; she was 93. Frieda was born in New York on April 21, 1922. 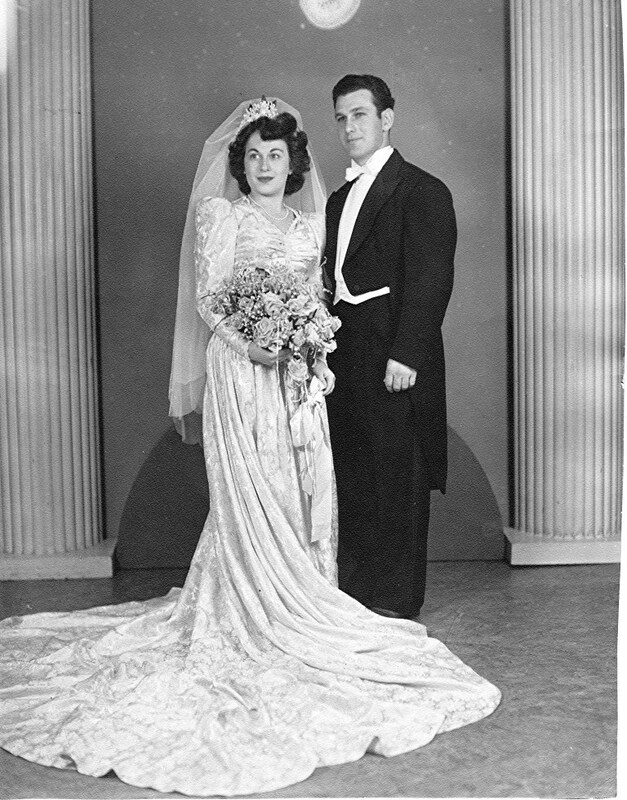 She married Abram Albert in 1943, and in 1957, they moved with their children to Arizona, where Abram opened a bedspread and drapery store in Phoenix. 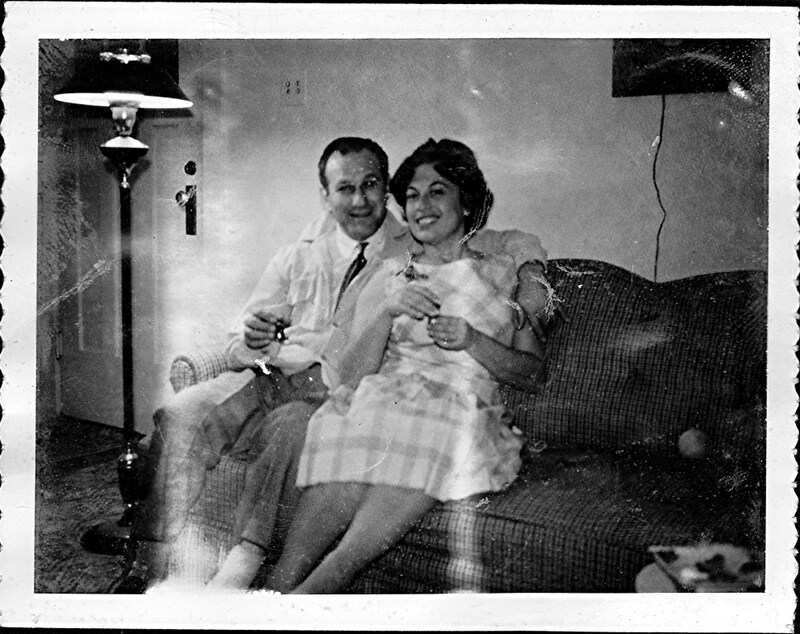 He died in 1991, and Frieda continued to live in Phoenix until her death last summer. Her younger sister Estelle died almost three months ago on May 16, 2016. She was 86 years old and had been living in Florida for many years. She was born May 15, 1929. 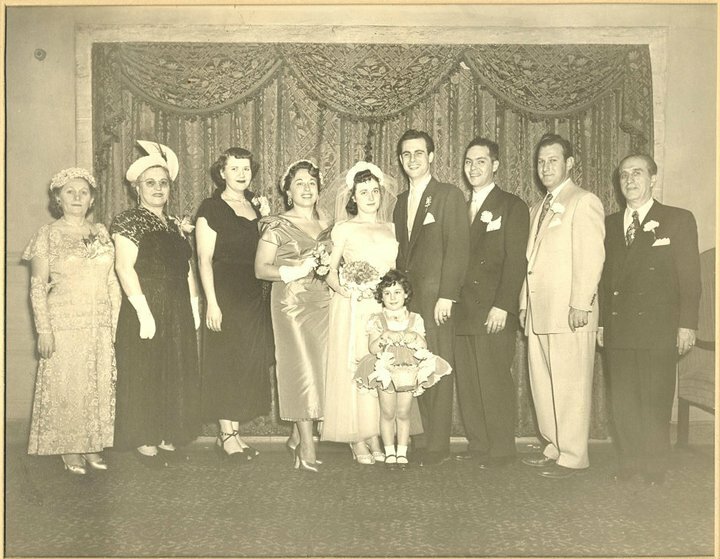 Estelle and Frieda each had three children who survive them—six second cousins I’d never known about until I started doing genealogy research. I never had a chance to speak to either Frieda or Estelle, but have been in touch with some of their children. My mother recalls Frieda and Estelle very well, although she had not seen them for many, many years. She remembers them as beautiful young girls coming to visit her family in Brooklyn when they were living out on Long Island. The other cousin who died in the past year was my father’s first cousin, Marjorie Cohen. I wrote about my wonderful conversations with Marjorie here. She died on July 6, 2015, but I did not learn about it until quite recently. 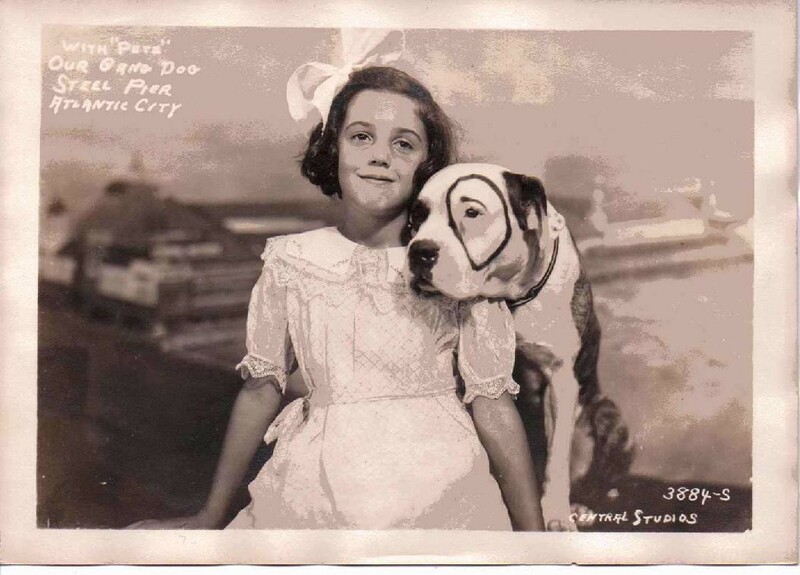 She was just a few months shy of 90 when she died, and she was living in Ventnor, New Jersey, near Atlantic City, where she had lived for almost all of her adult life after growing up in Philadelphia. 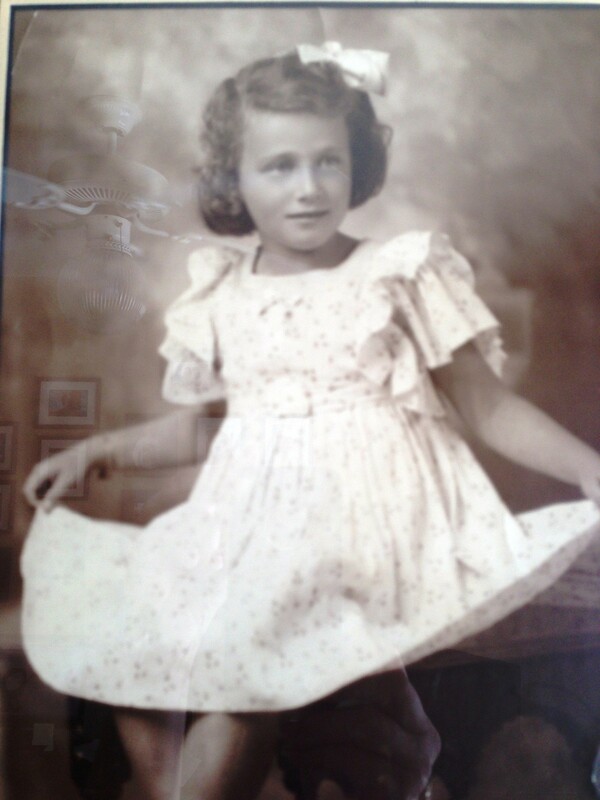 She was born on October 15, 1925, the daughter of Bessie Craig and Stanley Cohen, my grandfather’s brother. I am so grateful that I had the chance to talk to Marjorie, and I am filled with regret that I never was able to get to Atlantic City to meet with her as I had hoped. These losses remind me once again how important it is to find my extended family members, especially those whose memories run back the longest. I wish I had had the chance to meet all of these cousins, and now it is too late. So who was Frederick Selinger, and how did he fit into the family? And who was Fanny Selinger’s mother? In Part I, I described the research I had done first with Val Collinson in 2014 and then separately with Shirley Allen during the summer and fall of 2015 to try and find the connections between all our various Selinger relatives. 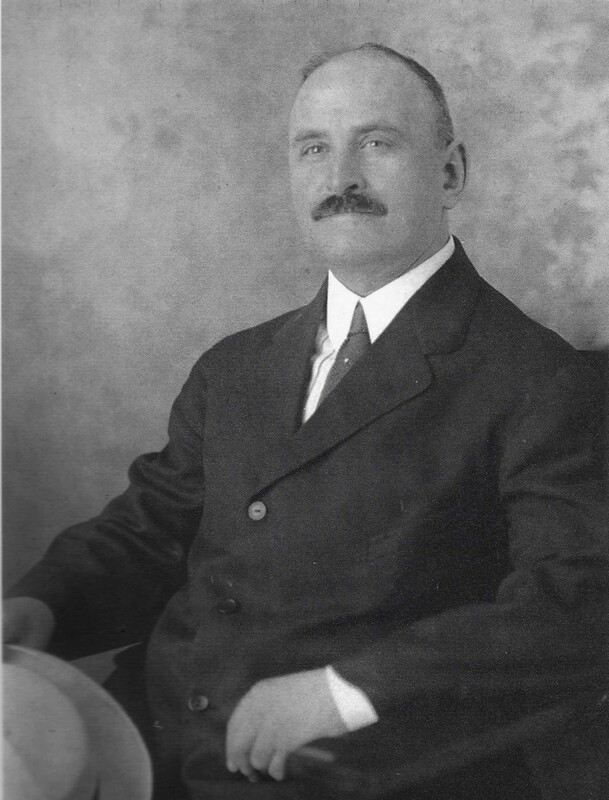 Through that research we had established with a fair degree of certainty that Julius and Alfred Selinger, who married two of my Cohen cousins, sisters Augusta and Fanny, were themselves brothers, the sons of Seligmann Selinger and Breinle Hofstadter. We had also established that Helena Selinger Auerbach, who had been Val’s great-grandmother, was a first cousin to Julius and Alfred and the daughter of Abraham Selinger and Rosalia Wilhelmsdorfer. 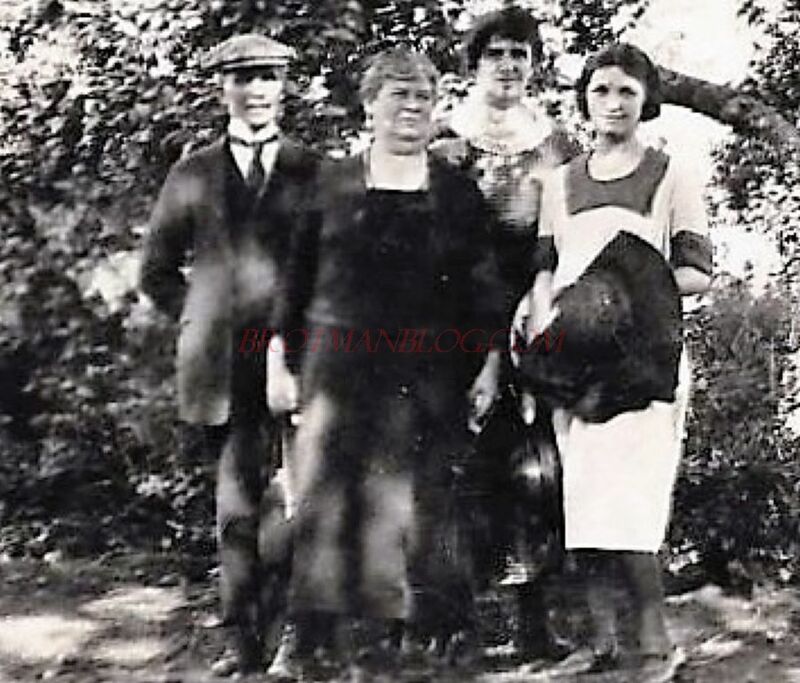 We also had established that Fanny Selinger Rosenthal, Shirley’s grandmother, was also a daughter of Abraham Selinger, but Shirley and I had not found any document that revealed whether her grandmother Fanny was a full or half sister to Helena and the other children of Abraham Selinger; we had not found her mother’s name or where she was born. And I still didn’t know how Frederick Selinger fit into the question. 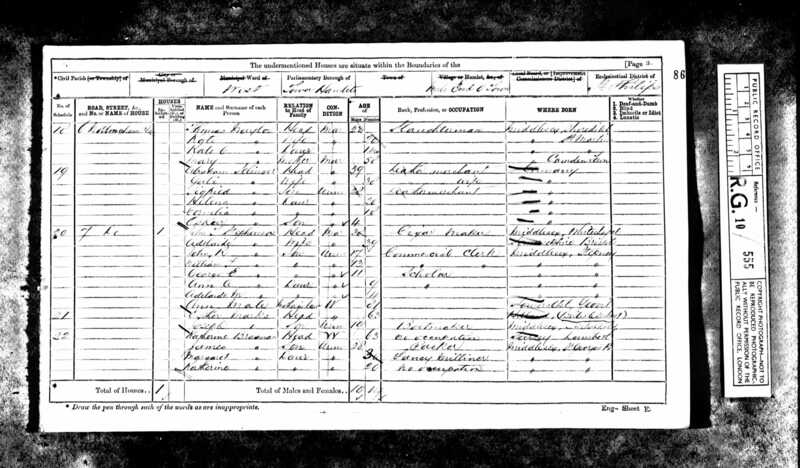 We also knew that Abraham Selinger had immigrated to England by 1871 because he appeared on the 1871 UK census with a second wife, Gali, along with several children: Sigfried, Helena, Cornelia, and Oscar. By 1881, Abraham had died, and his widow Gali was living with some different children: Morris, Flora, and Sidney, plus Oscar. Aside from Helena, who were all these children, and where were they born? I had no birth records for Cornelia, Morris, Flora, Sidney, or Oscar. So by late November, we had many answers, but many questions remained. Fast forward again to January 13, when I again heard from Shirley. 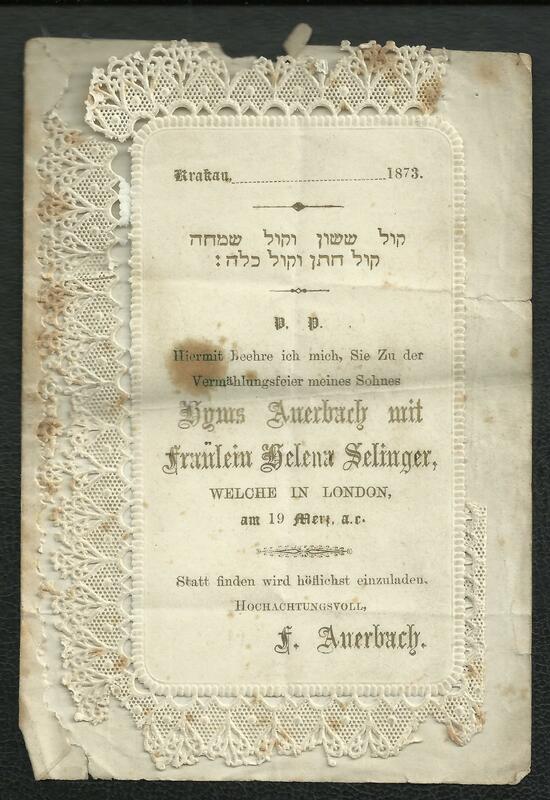 She had received a copy of the marriage authorization for Fanny Selinger and Jacob Rosenthal from the Chief Rabbi in London. It confirmed that Fanny was the daughter of Abraham and that she was born in Hurben, but did not reveal her mother’s name. 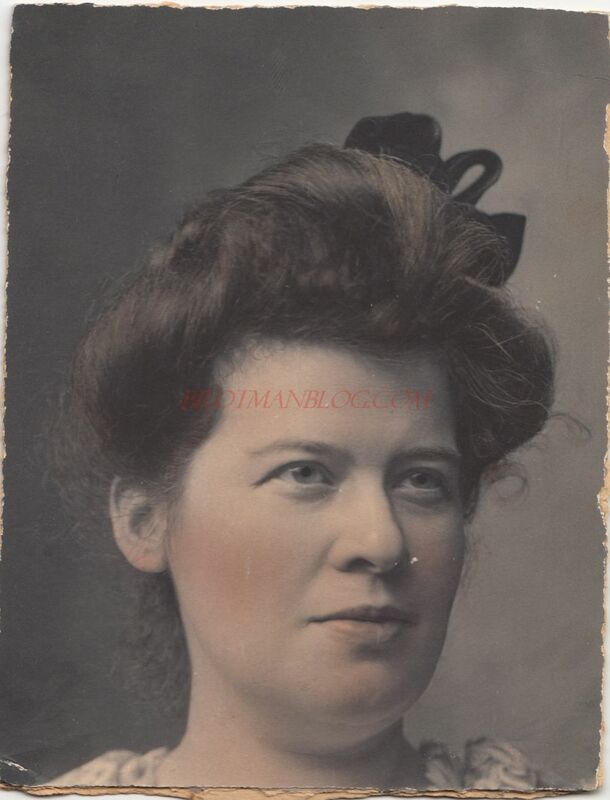 Although we did not have any new information, the new communication inspired us to try again to get answers to our primary questions: Who was Fanny Selinger’s mother? And how did Frederick Selinger fit into the family, if at all? 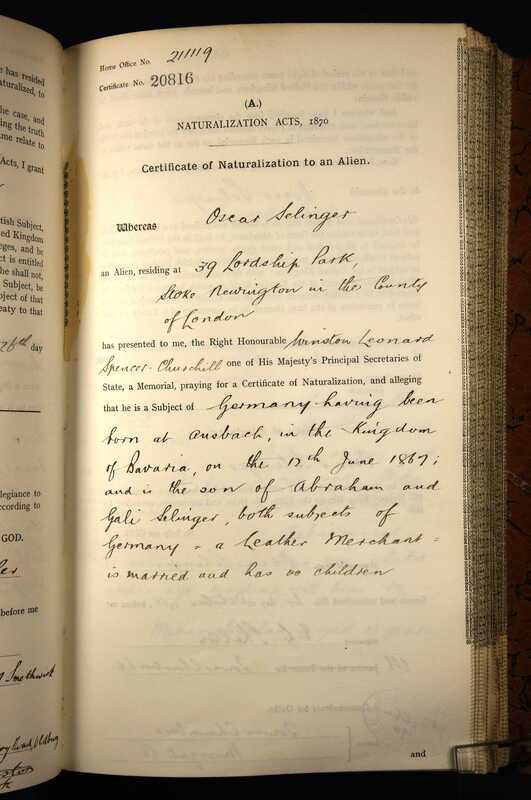 After reviewing everything we had, I decided to post on the German Genealogy group on Facebook for information about records in Ansbach , where Oskar Selinger had claimed to be born on his UK naturalization record. Although I was unable to find Ansbach birth records for the appropriate years, my friend Matthias did find two websites with information about Abraham Selinger in Ansbach: one, a website listing past and present tobacco businesses in Germany; Abraham Selinger was listed as the manager of Equity and cigar-tobacco factory in Ansbach from 1862 until 1871. 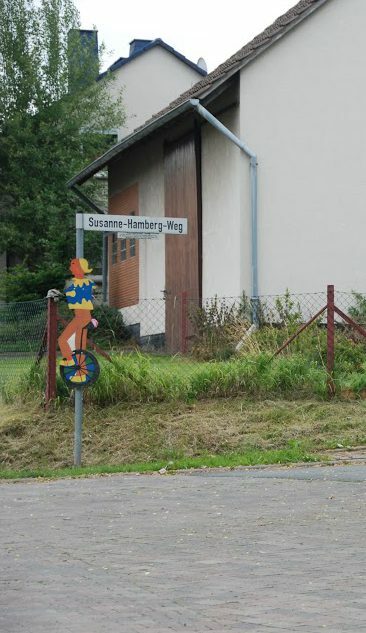 Thus, it made sense that Oscar Selinger was born in Ansbach. The second website was even more revealing. It was an Ansbach police report from 1870 reporting the arrest on May 31, 1870 of Abraham Selinger from Hurben, manager of a cigar factory, for fraud. Perhaps that is why 1871 was both the last date he had the cigar business in Ansbach as well as the first year he appeared on UK records. But it also meant that the children I believed had been born to Abraham in the 1850s—Frederick, Fanny, Morris, Flora, and Sidney—were probably not born in Ansbach if Abraham’s business there didn’t start until 1862. So where were they born? Shirley continued to contact various offices in Germany, and I tried to think of new paths for research. And then I had the best idea I’d had yet. While doing all this work with Shirley in 2015, I had somehow forgotten about my correspondence with Val Collinson back in 2014. Maybe Val had made some new discoveries or would have some new ideas. I wrote to Val on January 22, 2016, and now we had three heads working on the mysterious Selingers. The emails started flying back and forth among the three of us, and it became clear fairly quickly that Val and Shirley had some relatives in common, that is, relatives they both had met or at least had heard of. I just sat back, enjoying the fact that I had brought these two cousins together. They both were descendants of Abraham Selinger: Shirley through his daughter Fanny, Val through his daughter Helena. We weren’t yet sure whether Helena and Fanny were full or half-sisters, but in any event Shirley and Val, who’d never heard of each other before and who live about 60-100 miles apart in the UK, are third cousins. I was thrilled that I’d brought these two wonderful family researchers and cousins together. Shirley and Val both had lots of information about the marriages and descendants of some of the other Selinger siblings and also some wonderful photographs, but neither had any information about Frederick and neither was sure as to the identity of the mother or birthplaces of Fanny, Cornelia, Morris, Flora, or Sidney. Ludwigshafen?? Where was that? It’s a town very close to Mannheim. Could be this OUR Fanny? 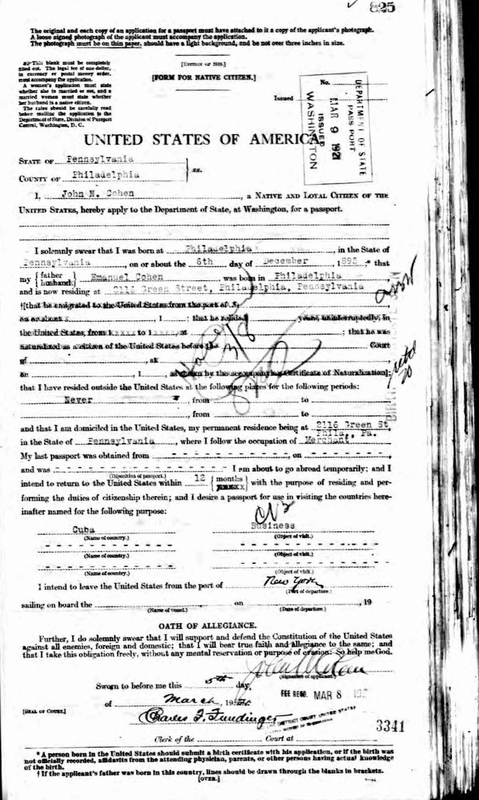 Val asked me to follow up because I have the broadest Ancestry subscription (All Access), and I was able to pull up a scan of the actual record. 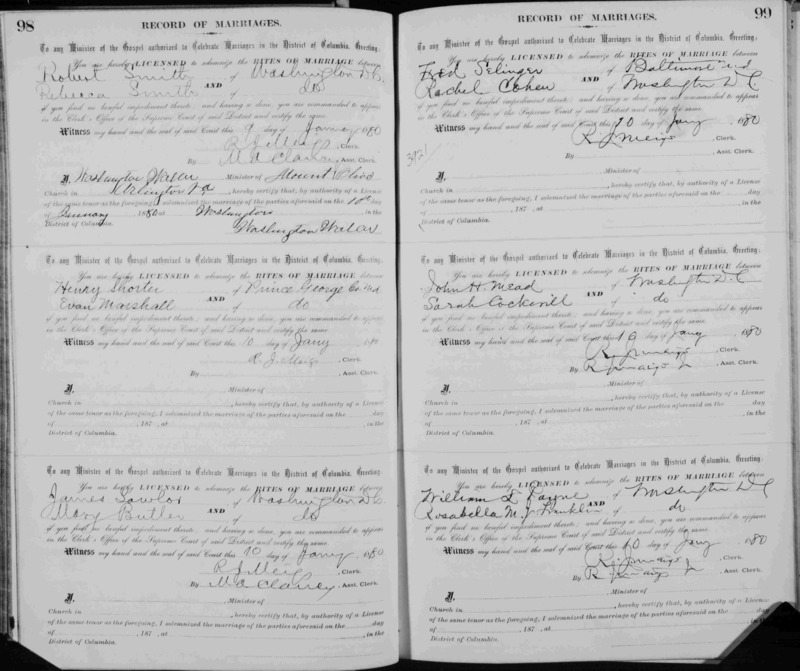 And not only did I find birth records for Fanny, I found them for three other children, all born to Abraham Selinger and Rosalia Wilhelmsdorfer, his first wife. 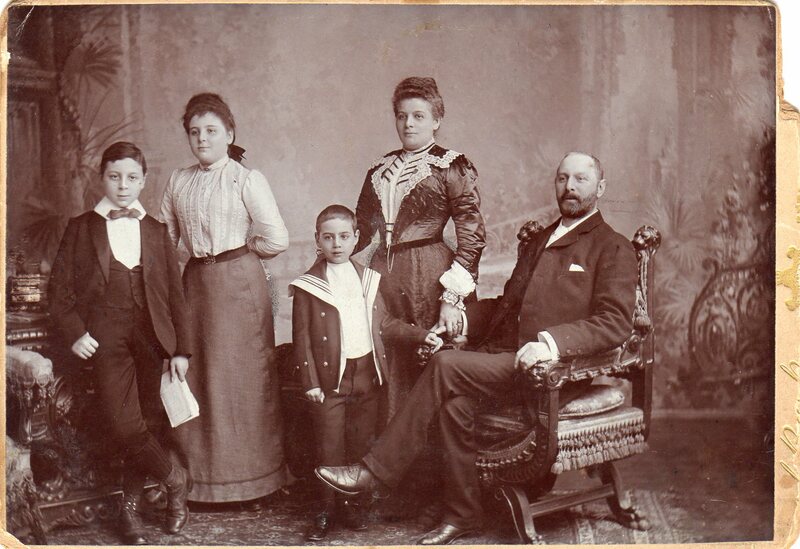 The four children born in Ludwigshafen were: Babetta, born in 1853, died in 1854; Flora, born in 1855 (later Flora Wallach); Fanny, born December 5, 1856; and Sigmund (later Sidney) born in 1858. We finally had a birth record for Fanny, and we knew now that she was in fact a full sister to Helena as they were both the daughters of Abraham Selinger and Rosalia Wilhelmsdoerfer. Val and Shirley were officially third cousins. Ancestry.com. 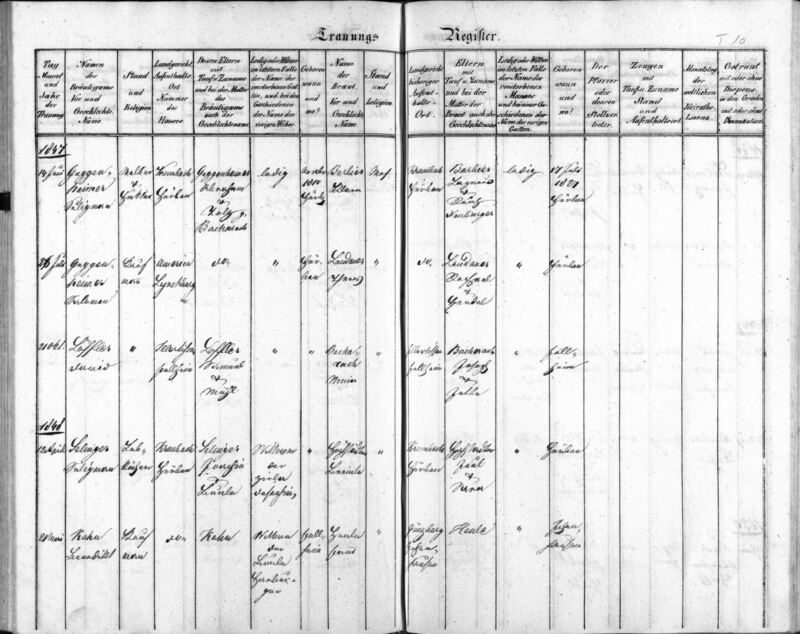 Ludwigshafen, Germany, Births, Marriages, and Deaths, 1798-1875 [database on-line]. Provo, UT, USA: Ancestry.com Operations, Inc., 2015. 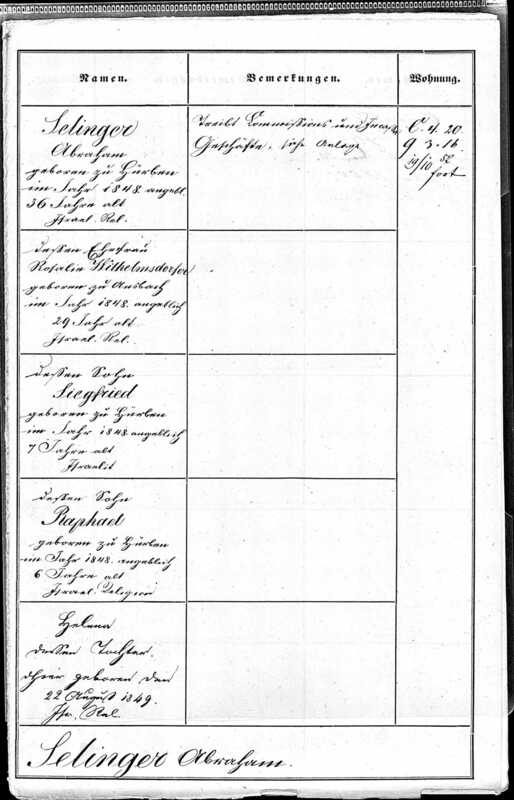 Original data: Ludwigshafen Zivilstandsregister, 1798-1875. Stadtarchiv Ludwigshafen, Ludwigshafen, Deutschland. So that left three children whose birthplaces were still unknown: Morris, Cornelia, and, of course, Frederick. Since Morris and Cornelia were both born before 1862 when the Selinger family arrived in Ansbach and after 1848 when the family had moved to Mannheim, I assumed that they were probably born in Mannheim. 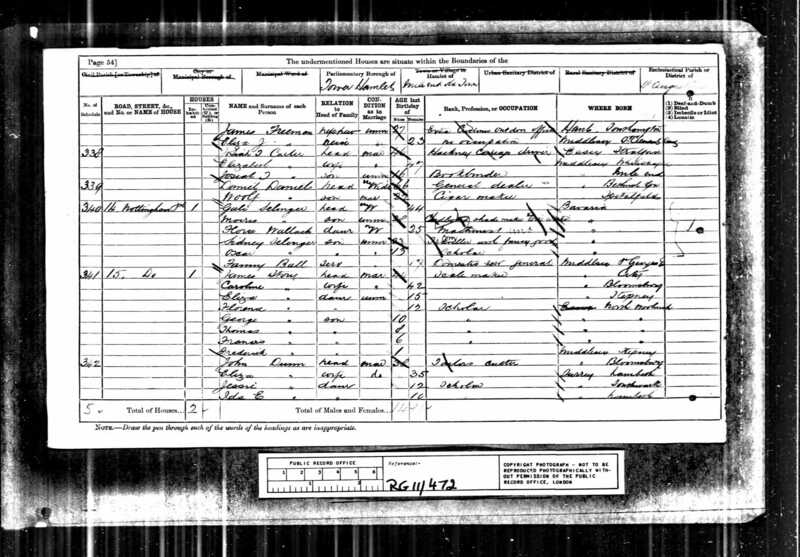 The 1881 census recorded Cornelia’s age as 18, two years younger than Helena, whom they reported as twenty. But even English census records are unreliable. Helena would have been turning 22 that year; maybe Cornelia was really 19 or 20 and thus born in 1850 or 1851. 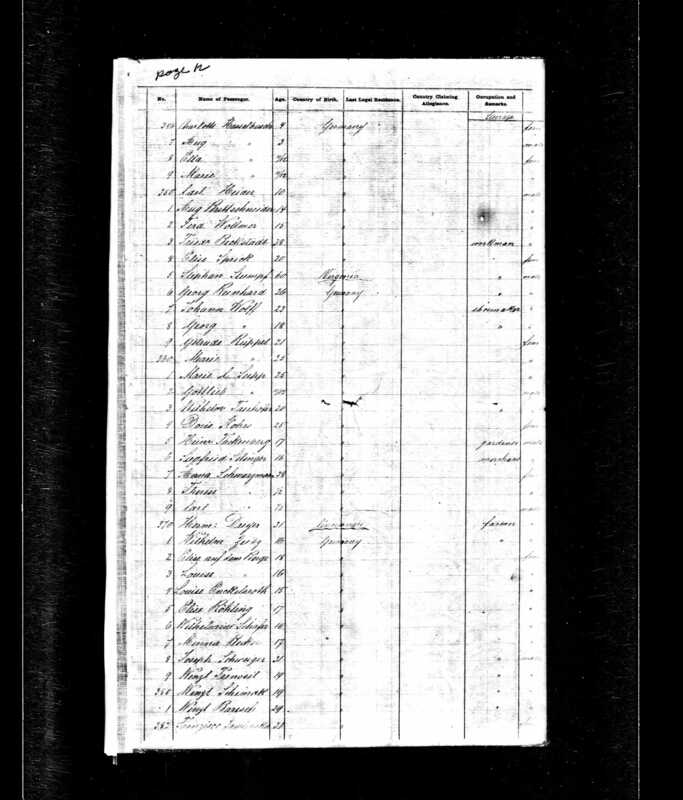 The 1881 census said Morris was 28; he was probably born in 1852 since Babetta, the child who died in 1854, was born in 1853, in Ansbach. Cornelia and Morris would also probably have been the children of Abraham and Rosalia since there were four children born to that couple even after Cornelia and Morris were born. So I went back to the Mannheim records because my initial search had been only for the years between 1853 to 1859; now I searched the set of records before it, dating from 1842 to 1852. And there they were, birth records for Cornelia (1850) and Morris (1852). And Helena (1849). All three were the children of Abraham Selinger and Rosalia Wilhelmdoerfer. So there are two birth records for Helena, one in Hurben, one in Mannheim. Go figure. Ancestry.com. 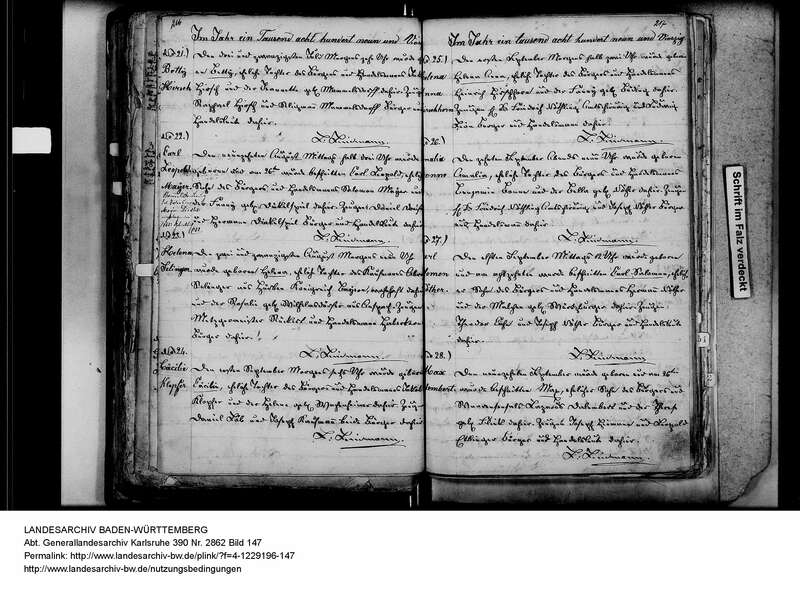 Ansbach, Germany, Lutheran Parish Register Extracts, 1550-1920 [database on-line]. Provo, UT, USA: Ancestry.com Operations, Inc., 2015. 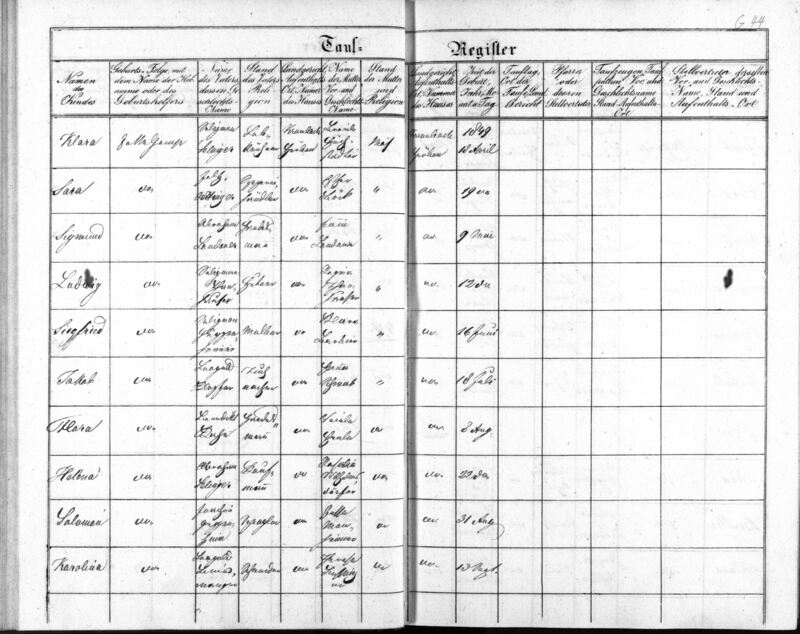 Original data: Ansbach Lutheran Parish Register Extracts. Digital images Tobias Brenner Collection. This document revealed two more things: that Gali’s birth name was Kohn and that she and Abraham had had another child before Oskar, Isidor, who died when he was an infant. So now I had a record confirming that Oscar was born in Ansbach and that his mother was Gali Kohn, not Rosalia Wilhelmsdoerfer. Shirley, Val, and I had pretty much closed the circle on the children of Abraham Selinger. But despite all our efforts, we still had not found one record for Frederick Selinger. If he was born in 1856 as his passport application and his death certificate indicated, he should have been included with those children born in Ansbach. He would have been born around the time of Flora or Fanny, maybe even a twin of one of them. But he wasn’t there. And he wasn’t in the Mannheim records or the Hurben records. So something did not make sense. Frederick was not the child of Abraham Selinger with either of his wives. I was convinced of it now. So who was he? What was I missing? This is the part of the story where I just want to kick myself. I went back once again to the Hurben birth records and looked more closely at the children born to Seligman Selinger. There were nineteen of them. NINETEEN. Nine were born to Seligman and his first wife between 1835 and 1844. They all were born too early to be Frederick. Ten children were born to Seligman Selinger and his second wife, Breinle Hofstadter, between 1849 and 1866. There were five girls and five boys from that second marriage. The five boys were Heinrich (1852), Julius (1853), Sigfried (1855), Hugo (1860), and Alfred (1866). Julius and Alfred were the two who had married my Cohen cousins Augusta and Fanny. That left Heinrich, Sigfried, and Hugo. Could any of them be Frederick? Sigfried. Hmm, I thought. That could have become Frederick, maybe?? 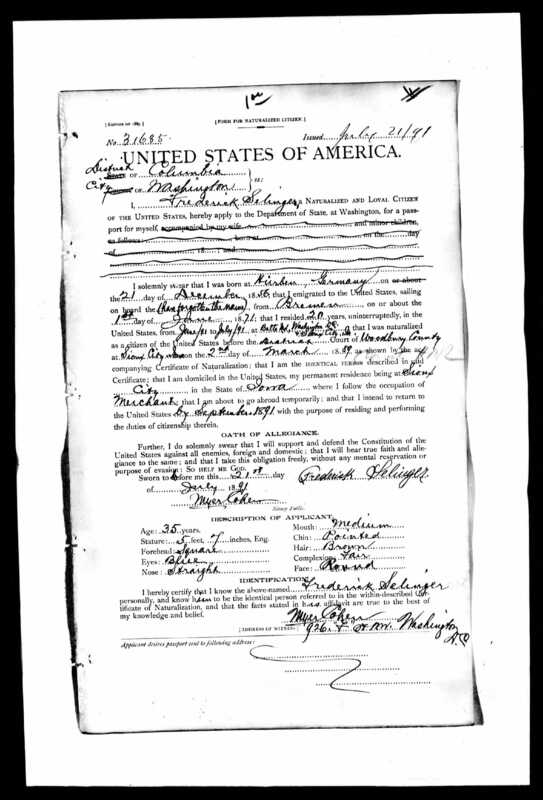 But he was born December 29, 1855, and Frederick was born in December 1856, according to his US death certificate and his US passport application. So what, I thought? People lie! He made himself a year younger. The more I thought about it, the more I thought that Sigfried was Frederick. The disparity in the dates in December for his birthday (the death certificate said December 27, the passport application December 21) didn’t bother me either. Jews in Europe might not have known their birthday on a Gregorian calendar, only a Jewish calendar. Frederick might have just known that his birthday was close to Hanukkah and nothing more precise than that. I went back to Ancestry to look at the records I had for Frederick. 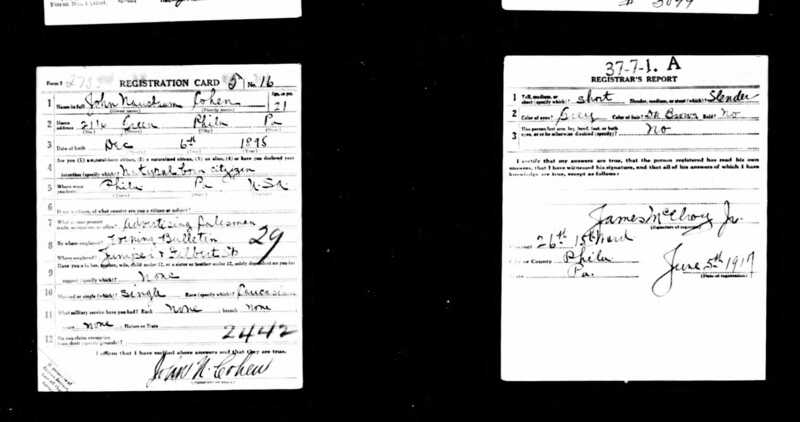 The earliest two—his 1880 marriage record and the 1880 census—list him as Fred, not Frederick. Fred could be a shortened version of Sigfried, couldn’t it? So I decided to search for Sigfried Selinger. And when I searched for Fred Selinger in Baltimore, I found two listings in Baltimore directories, one in 1875, one in 1878. I am quite certain I have found Frederick and now know that he was Sigfried Selinger, the son of Selinger Seligmann and Breinle Hofstadter. He was the middle brother to his brothers, Julius and Alfred, who followed him to the US in the following decade and married respectively the aunt (Augusta) and the sister (Fanny) of Frederick’s wife Rachel. So why do I want to kick myself? Not only because I should have seen this much, much earlier, but because Ralph Bloch in fact told me he thought Sigfried could be Frederick way back in August, 2015. I’d forgotten that until I reviewed all the old emails to write this blog post. I probably saw his comment and forgot it or thought that I needed more proof. And I got caught up in searching for Fanny and the other Selingers and for some reason assumed Frederick had to be the child of Abraham. I could have so easily searched back then for Sigfried in the US and found what I found just this past week. But actually I am so glad that I didn’t. Because if I had done that in August, I might never have continued searching and working with Shirley and Val. I might never have brought Shirley and Val together, third cousins who’d never known each other before. I would have missed out on all the fun Val and Shirley and I have had as we worked together to solve this mystery. That makes this all very worthwhile. All this, you might say, for people who aren’t even my blood relatives? For people who happened to marry my distant cousins Rachel, Augusta, and Fanny? 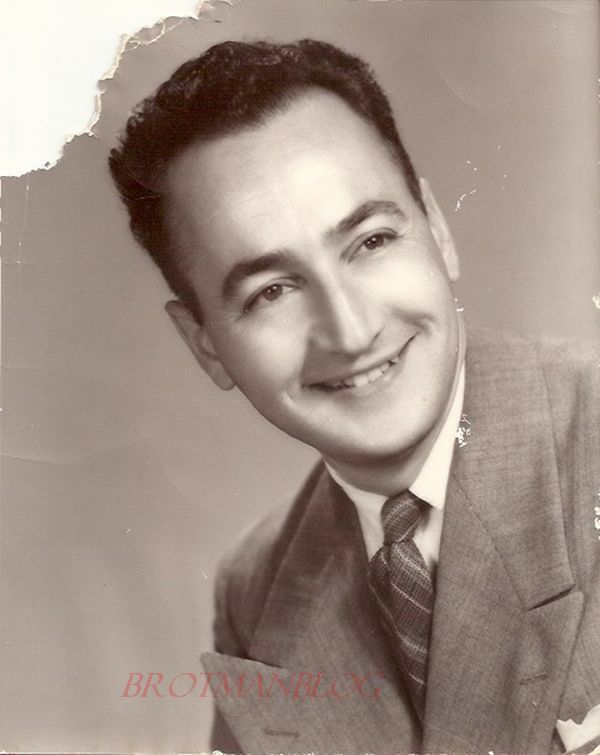 In my recent post, I mentioned that I had been working with two other researchers on the mystery of the three Selinger men who married my Cohen cousins. 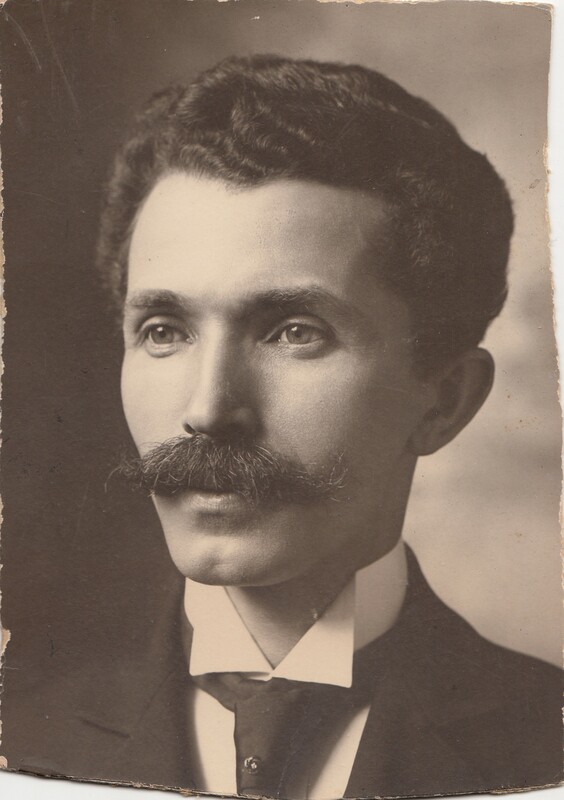 Frederick Selinger had married my cousin Rachel Cohen in 1880 in Washington, DC. Rachel was the daughter of Moses Cohen, my three times great-uncle (brother of my great-great-grandfather Jacob). Julius Selinger had married Augusta Cohen in 1884 in Washington, DC; Augusta was the daughter of Moses Cohen, Jr. and niece of Rachel Cohen. Finally, Alfred Selinger had married Fannie Cohen in Washington, DC, in 1893. 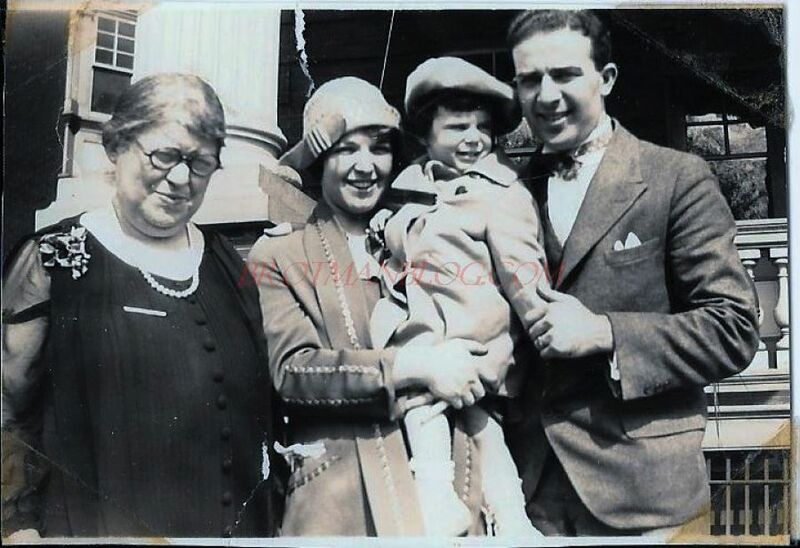 Fannie was also a daughter of Moses Cohen, Jr., also a niece of Rachel Cohen, and a sister of Augusta Cohen. Way back on July 22, 2014, when I first posted about the three Selinger men, I had speculated that they all had to be related. Both Julius and Frederick had documents indicating that they had been born in Hurben, Germany. Alfred and Julius had lived together in DC before they’d married, and Alfred had traveled with Julius and Augusta to Europe before he married Augusta’s sister Fannie. But I had nothing to support that speculation besides that circumstantial evidence. Then a month later on August 5, 2014, I wrote about the marriage of Eleanor Selinger to Henry Abbot. 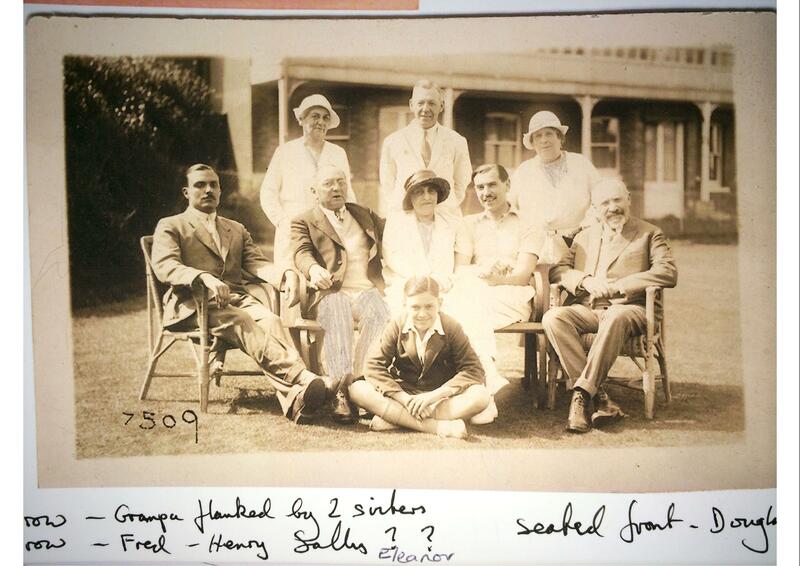 Eleanor was the daughter of Julius Selinger and Augusta Cohen; Henry was the son of Hyams Auerbach (Abbot) and Helena Selinger (some records say Ellen or Helen). I was curious as to whether Helena Selinger was somehow related to Julius and the other Selinger men, Alfred and Frederick. I thought that she might be since how else would an American woman have met an Englishman? And the shared name seemed too uncommon to be pure coincidence. 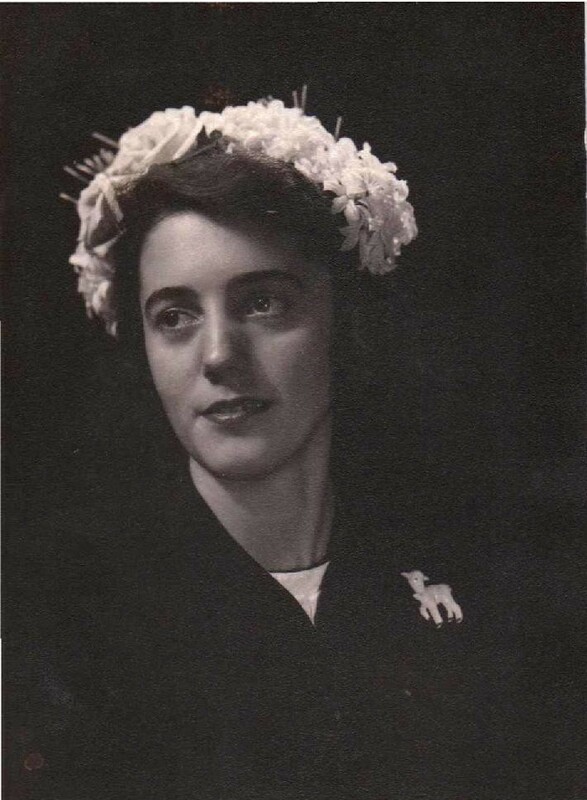 As I wrote then, I had contacted the owner of an Ancestry family tree who turned out to be Eleanor Selinger and Henry Abbot’s great-niece: Val Collinson. Val and I exchanged a lot of information, but we could not at that time find any definitive evidence linking Helena Selinger, her great-grandmother, to Frederick or Julius or Alfred. All were born in Germany, but it seemed from the records in different locations. 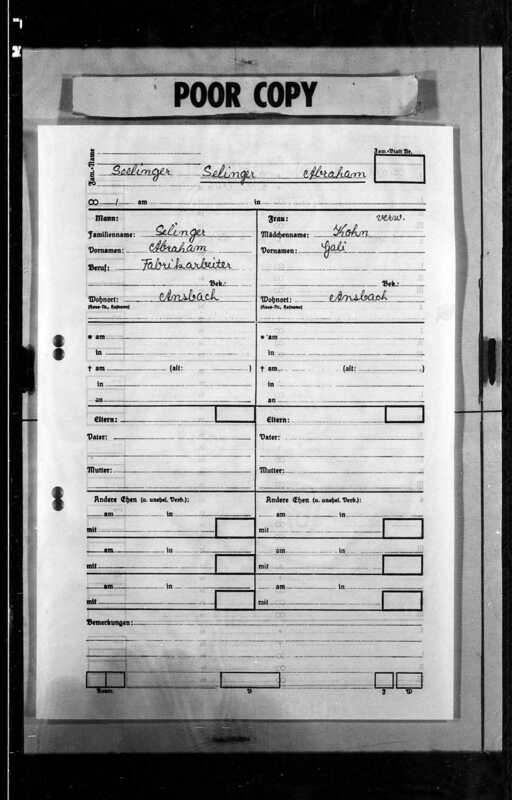 Helena’s marriage record indicated that her father’s name was Abraham Selinger, whereas Julius had indicated on his passport application that his father was Sigmund Selinger. We were stumped. And that was that. Or so I thought. 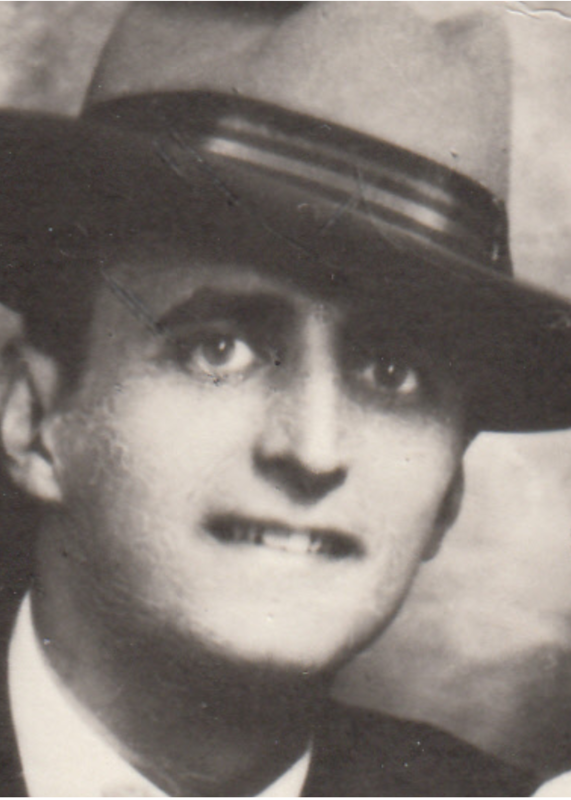 I’ve been delving into my paternal (Rosenthal) family history. 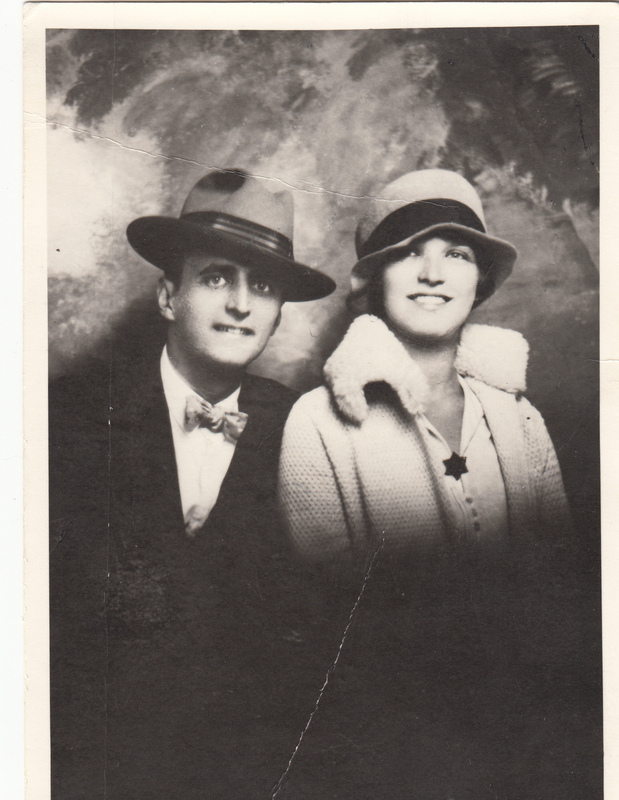 I’ve found that my grandfather Jacob Rosenthal was married to Fanny Selinger. Unfortunately I haven’t found anything further about Fanny other than she was born in Germany, probably in 1857. However, I’ve recently come upon a wonderful paper lace invitation to the 1873 wedding of Hyams Auerbach and Helena Selinger that you referred to. What I don’t know is why Fanny would have been invited. Clearly she and Helena were related – but how ? Needless to say, I was intrigued. 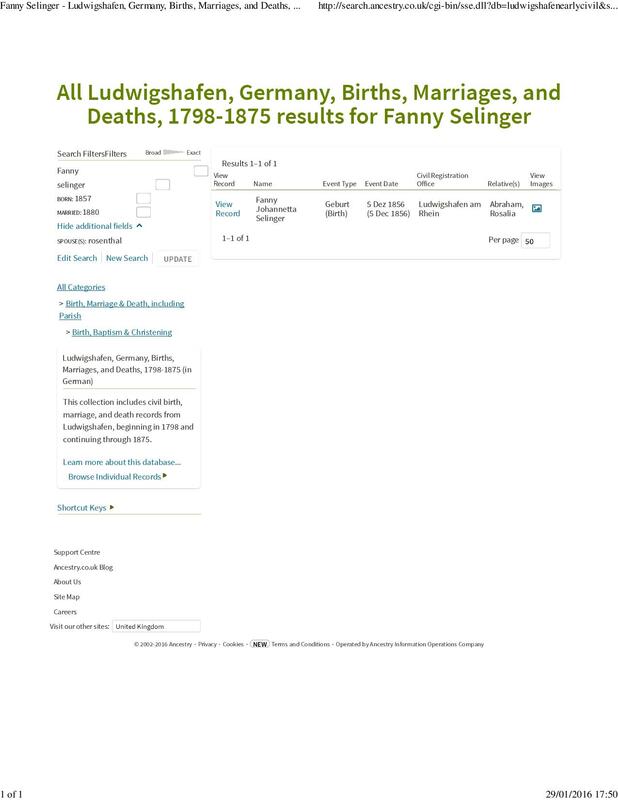 Maybe Fanny Selinger was related to Helena and/or maybe she was related to Julius, Frederick, and Alfred. Shirley and I communicated by email, and we both started digging. 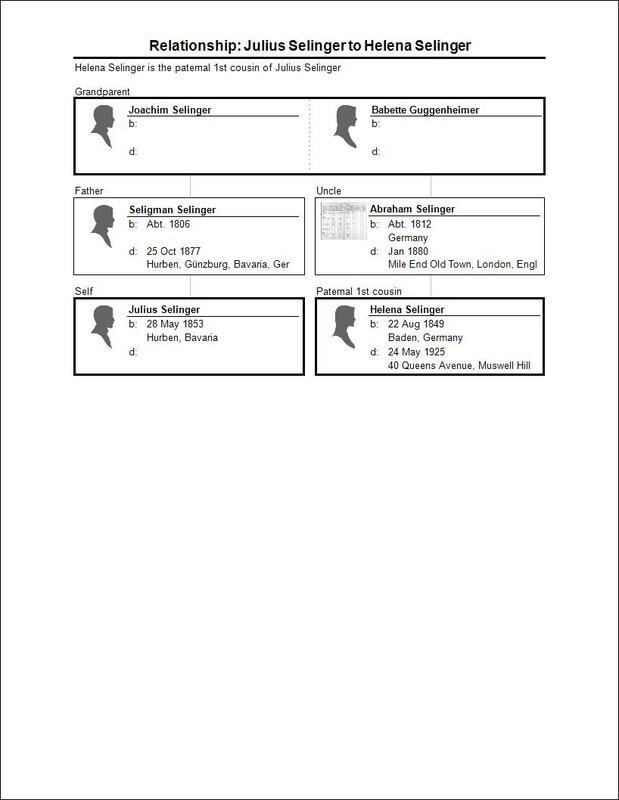 I found a website called Jewish Genealogy of Bavarian Swabia (JGBS) that had records for Hurben and located 25 Selingers in their database, including those for Alfred and for Julius, who were the sons of Seligman Selinger and Breinle Hofstadter and thus were brothers, as I had suspected. Shirley and I both thought that Seligman Selinger had been Americanized to Sigmund by Julius on his passport application and that the birth records for Julius and Alfred confirmed that they were in fact brothers. I also found a birth record for Helena Selinger, whose father was Abraham Selinger, not Seligman Selinger. Abraham and his wife Rosalia Wilhelmsdoerfer had six children listed: Seligman (1842), Raphael (1843), Pauline (1845), Karolina (1847), Heinrich (1848), and Helena (1849). Pauline, Karolina, and Heinrich had all died as young children, leaving Seligman, Raphael, and Helena as the surviving children of Abraham. Here is Helena’s birth record from Hurben in August 1849. But what about Frederick? And Fanny? 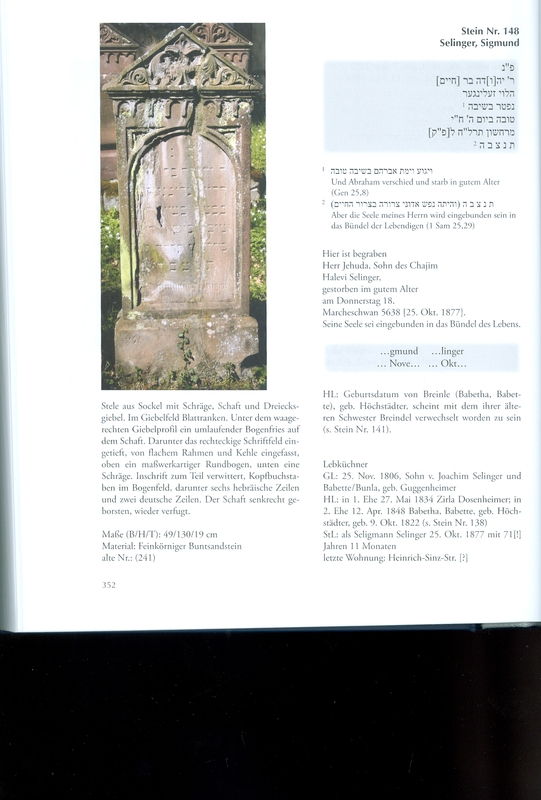 And was there a connection between Helena’s father Abraham and the father of Julius and Alfred, Seligman Selinger? 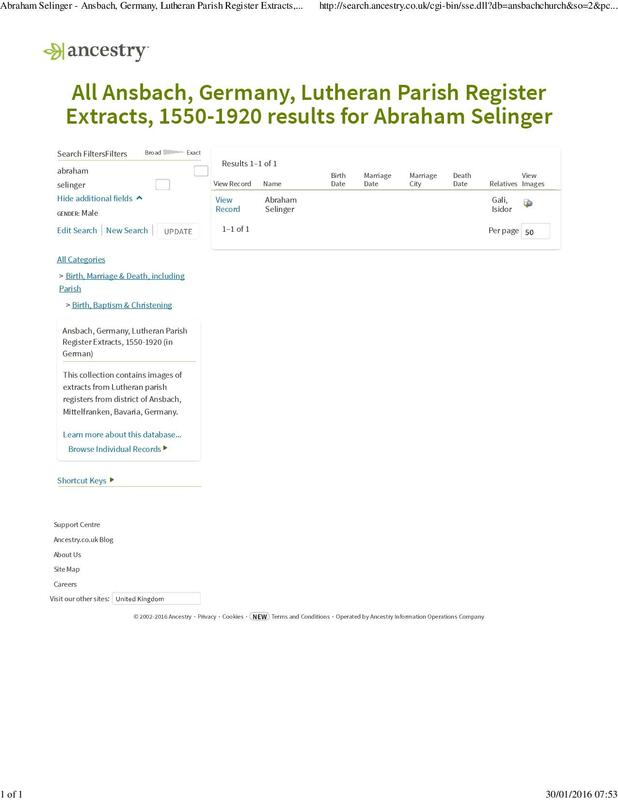 A little more digging on the JGBS site revealed that both Abraham Selinger and Seligman Selinger were the sons of Joachim Selinger, thus confirming that they were brothers and thus that Helena was a first cousin to Julius and Alfred. That meant that Eleanor Selinger, daughter of Julius Selinger, had married her second cousin, Henry Abbot, son of Helena Selinger. But that still left us wondering about Frederick Selinger and Shirley’s great-grandmother Fanny Selinger. How did they fit into this picture? I contacted Ralph Bloch, the webmaster for the JGBS website, and he was extremely helpful. More helpful than I realized at the time, but more on that later. 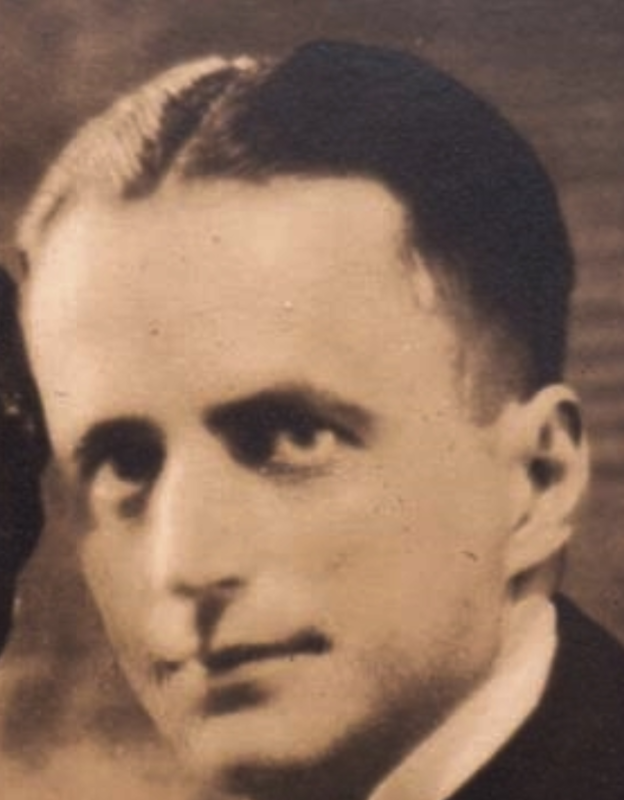 Ralph also could not find any evidence that Fanny was born in Hurben, and he reassured me that the birth records for Hurben were quite complete. He even searched through the original pages to be sure that Fanny hadn’t somehow been missed when the records were indexed. (There was a Fany Selinger born in the 1830s, but that would have been far too early for Shirley’s ancestor.) 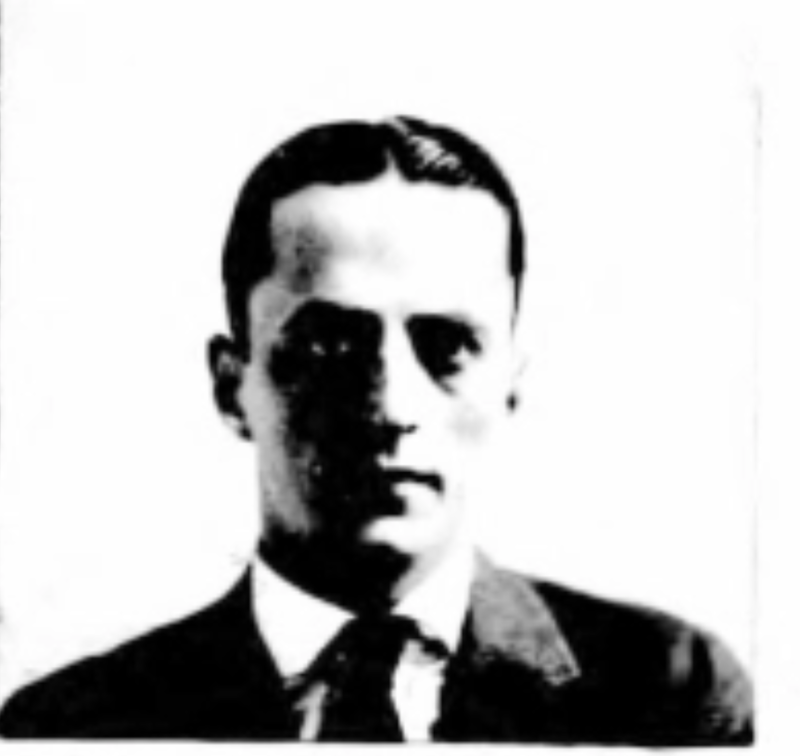 Ralph also sent a photograph of Seligman Selinger’s headstone, which confirmed that his father’s name was Joachim or Chaim, his Hebrew name. So once again we hit the brick wall. We still had not found either Frederick or Fanny. Shirley said she would pursue it on her end, and I turned back to the other research I’d been doing when I received Shirley’s comment. Not much happened again until late November when I heard again from Shirley, telling me that she had received a copy of Fanny Selinger’s marriage certificate, which revealed that Fanny was the daughter of Abraham Selinger. Now we could link Fanny to Helena, also the daughter of Abraham, as well as to Julius and Alfred, Abraham’s nephews. But we didn’t know if Fanny and Helena were both the daughters of Rosalia Wilhelmsdoerfer. Shirley’s research of UK records showed that by 1871 Abraham was married to a woman named Gali, and we assumed that Abraham had left Hurben at some point, that his first wife Rosalia had died, and that he had had several children with Gali. That is what the UK census records from 1871 seemed to reflect. Abraham and Gali were living with Sigfried (28), Helena (20), Cornelia (18), and Oskar (4). But there was neither a Fanny nor a Frederick. Original data: Census Returns of England and Wales, 1871. Kew, Surrey, England: The National Archives of the UK (TNA): Public Record Office (PRO), 1871. 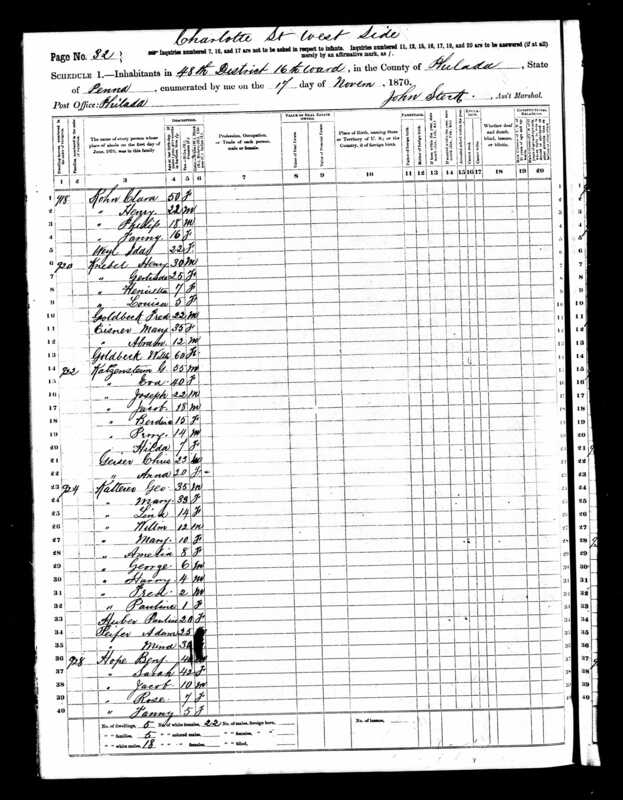 Abraham died in 1880, and in 1881, Gali was living with four children, but aside from Oskar (13), they were all different from those on the 1871 census: Morris (28), Flora (surname Wallach) (25), and Sidney (23). Now I was really confused. Who were these people, and where had they been in 1871? Flora was presumably married to someone named Wallach and now a widow, but Morris would have been eighteen in 1871 and Sidney only thirteen. Where were they living? Who were they? 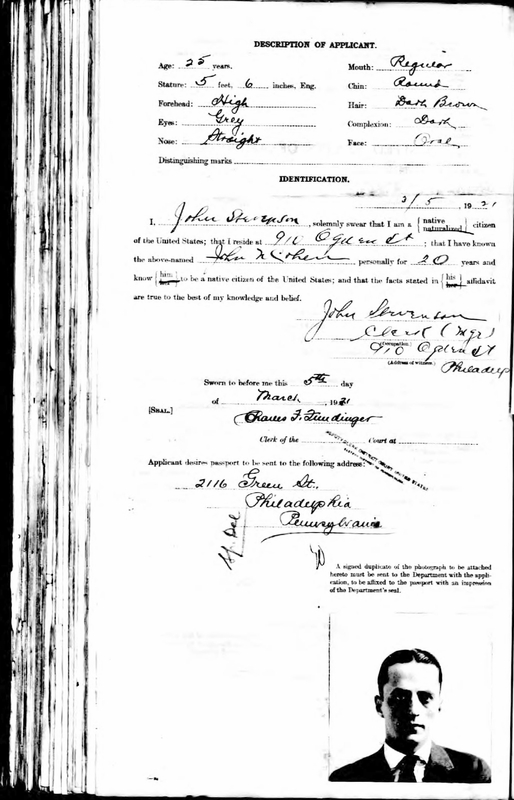 None of those children were listed on the Hurben birth register on the JGBS site; in fact, there were no children listed for Abraham Selinger and any wife in Hurben after Helena’s birth in 1849. I assumed that Morris, Flora, Sidney, and Oscar, all born after 1850, were born in a different place and perhaps to a different mother. Certainly Oskar had to be Gali’s child since he was so much younger than all the rest and only four on the 1871 census. 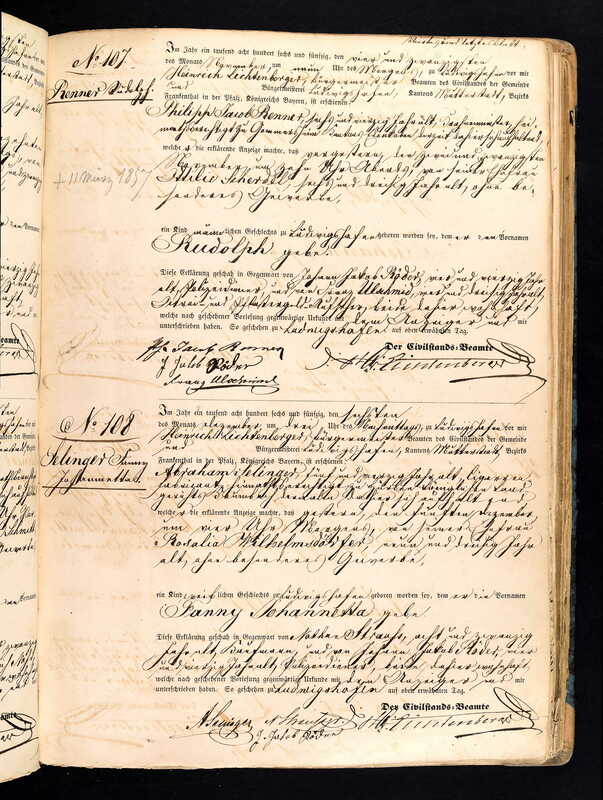 Searching again on Ancestry, I found a new record: an entry for Abraham, Rosalia, Seligman, and Raphael Selinger on the Mannheim, Germany, family register dated November 26, 1848. What were they doing in Mannheim? By that time the three younger children, Pauline, Karolina, and Heinrich, had died. Perhaps they needed a change of scenery. But what about Helena? 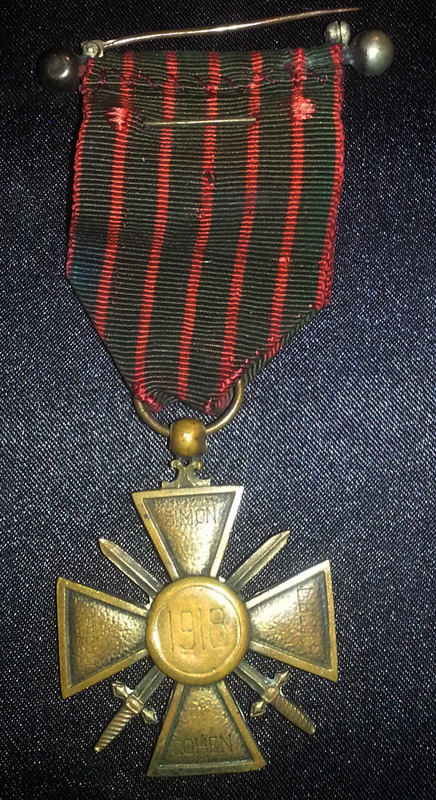 She was born in Hurben in 1849. Ancestry.com. 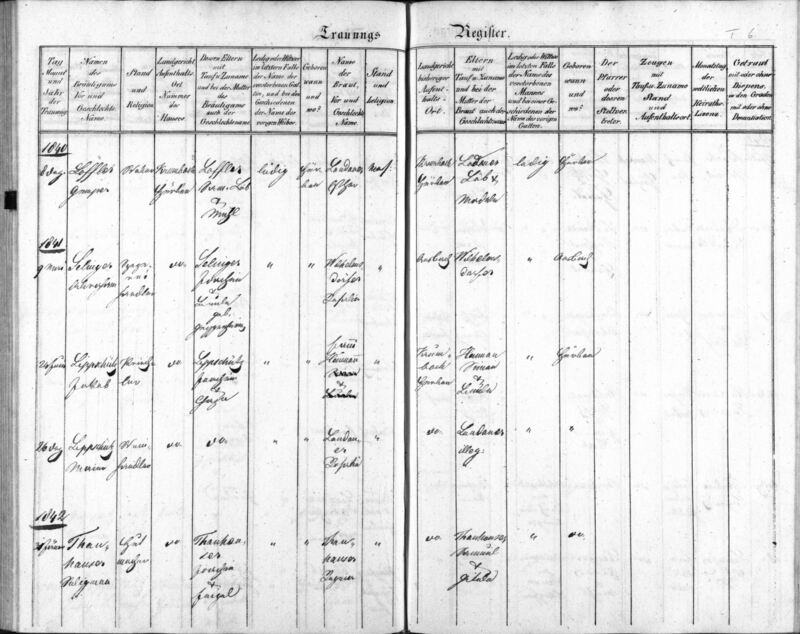 Mannheim, Germany, Family Registers, 1760-1900 [database on-line]. Provo, UT, USA: Ancestry.com Operations, Inc., 2014. Original data: Polizeipräsidium Mannheim Familienbögen, 1800-1900. Digital images. Stadtarchiv Mannheim — Institut für Stadtgeschichte, Mannheim, Germany. My friends in the German Genealogy group, Heike Keohane, Matthias Steinke, and Bradley Hernlem, came to my rescue and translated it to read, “Helene, his daughter, here born the 22 August 1849.” So Helena’s birth is entered on the Hurben birth records (on the same date) and on the Mannheim records. I’ve no idea which is the correct birthplace; maybe Rosalia went home to Hurben to give birth and returned to Mannheim afterwards where the family was living. But perhaps now I could find out where Frederick was born, not to mention Morris, Flora, Sidney, and Oscar. Maybe they were born in Mannheim. I checked the Mannheim birth records from 1853 through 1866 and found not one person named Selinger. I checked over and over, looking at each page until my eyes were blurry. There were no Selingers born in Mannheim during that period that I could find. 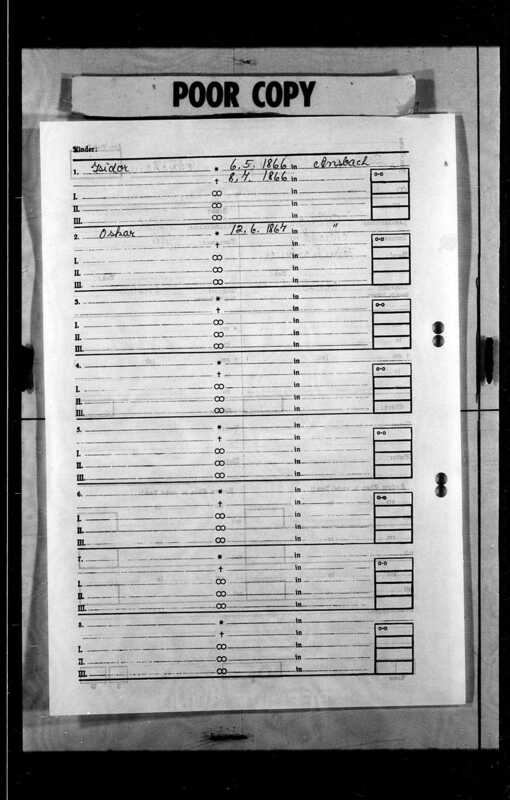 Then I discovered that Oskar Selinger had listed Ansbach as his birth place on his UK naturalization papers and thought that perhaps the family had moved from Mannheim to Ansbach. 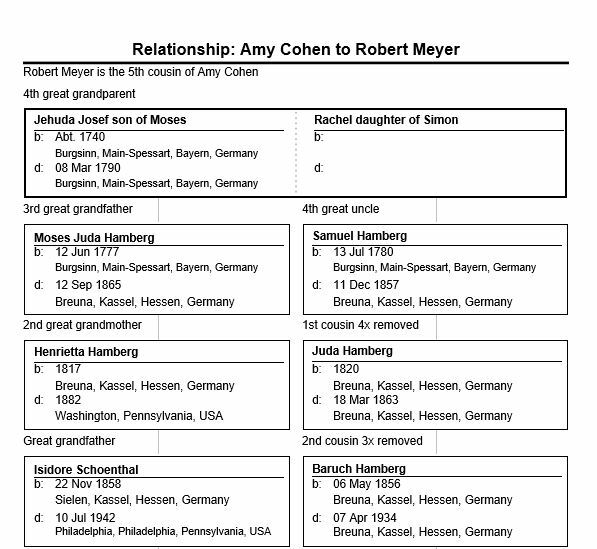 I had no luck locating Ansbach birth records for that period, and by then it was Thanksgiving, and other matters distracted me, and I put the Selinger mystery on the back burner.